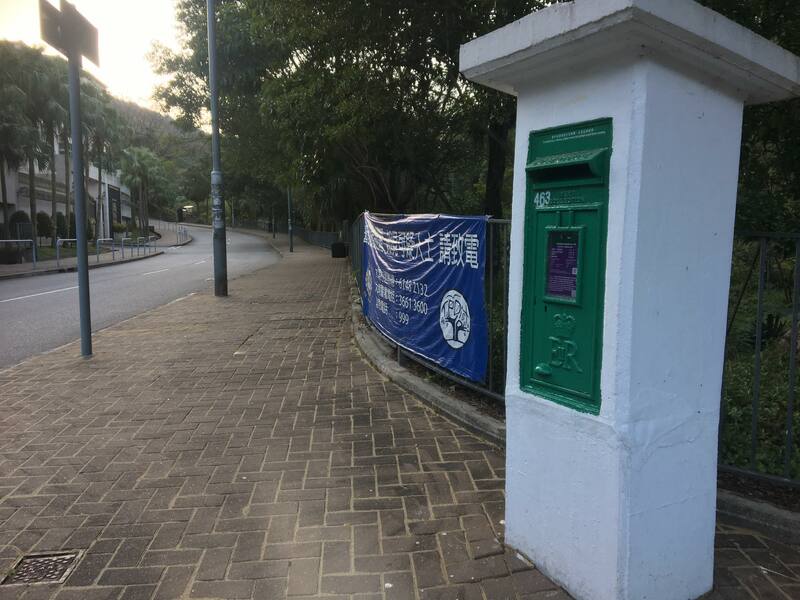 獨特牆頂 | "組織搜索隊 , 到可能地區 , 作徹底搜尋。" 獨特牆頂 – "組織搜索隊 , 到可能地區 , 作徹底搜尋。"
Note: Very happy to see the conditions of this box have been vastly improved. 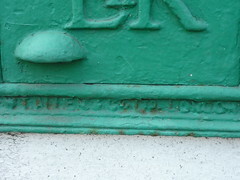 One obvious place is the manufacturer’s name, which, still illegible in 2010, could now be clearly made out. 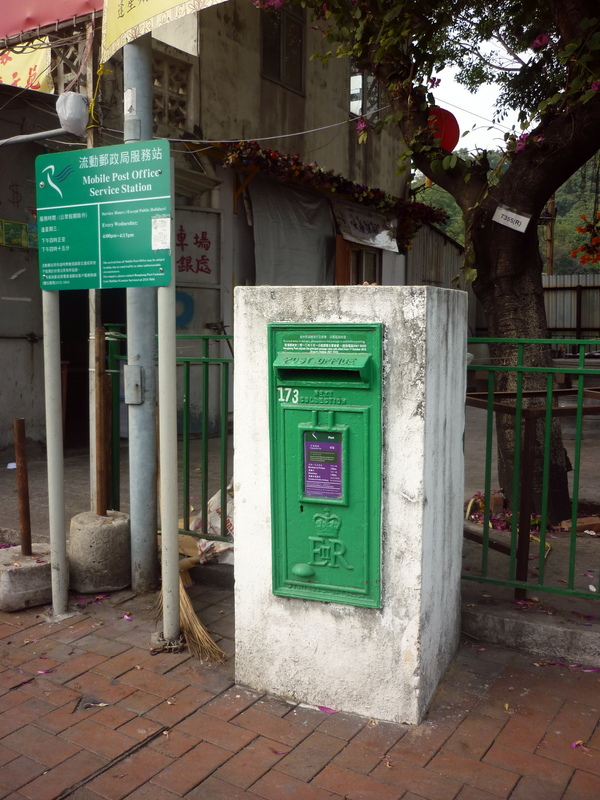 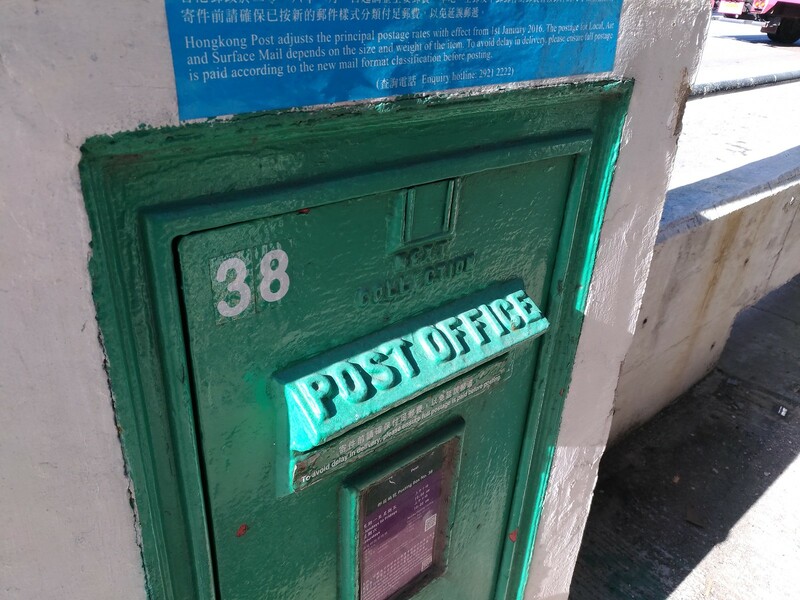 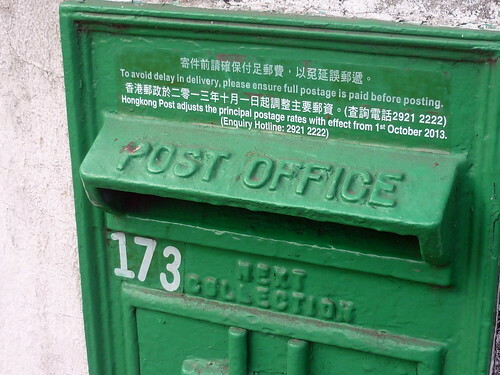 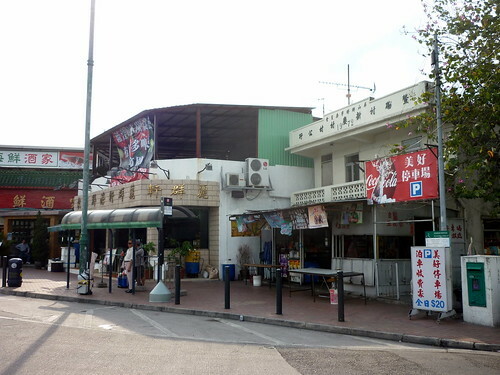 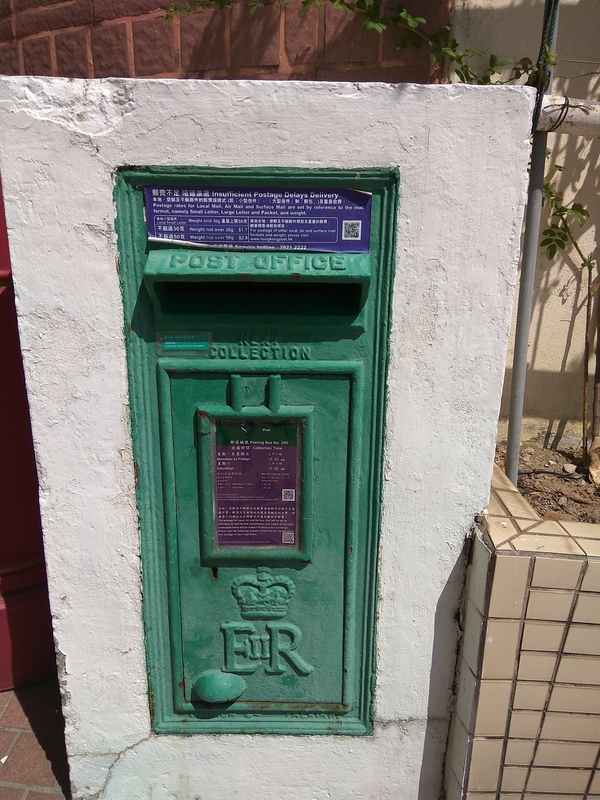 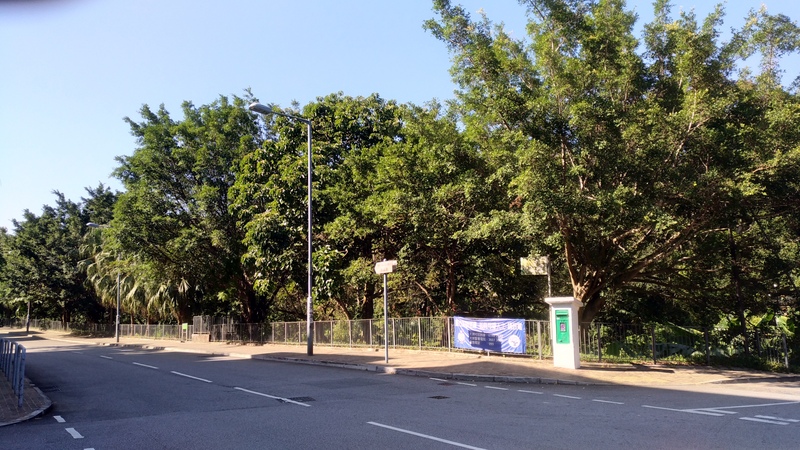 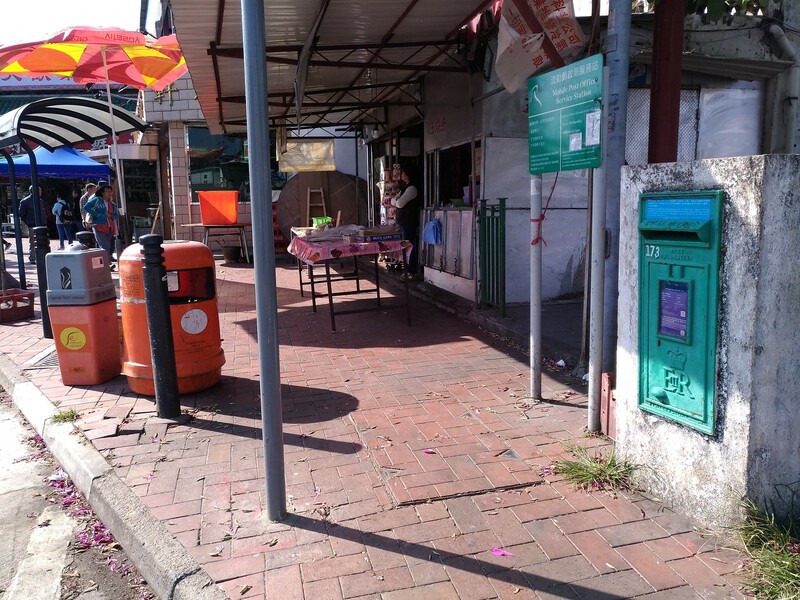 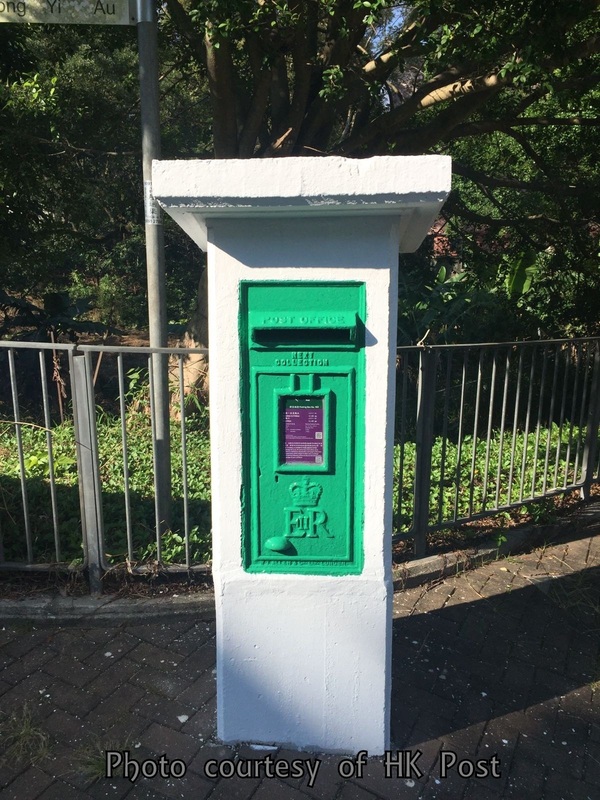 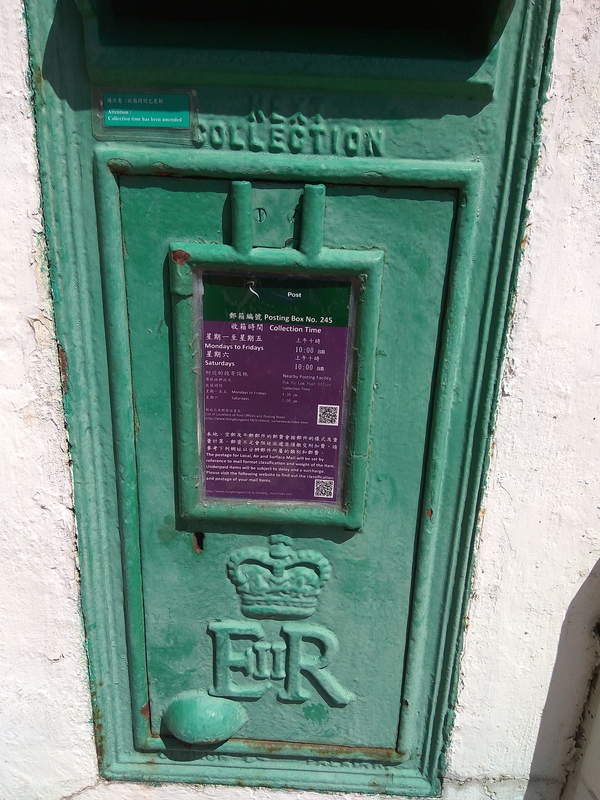 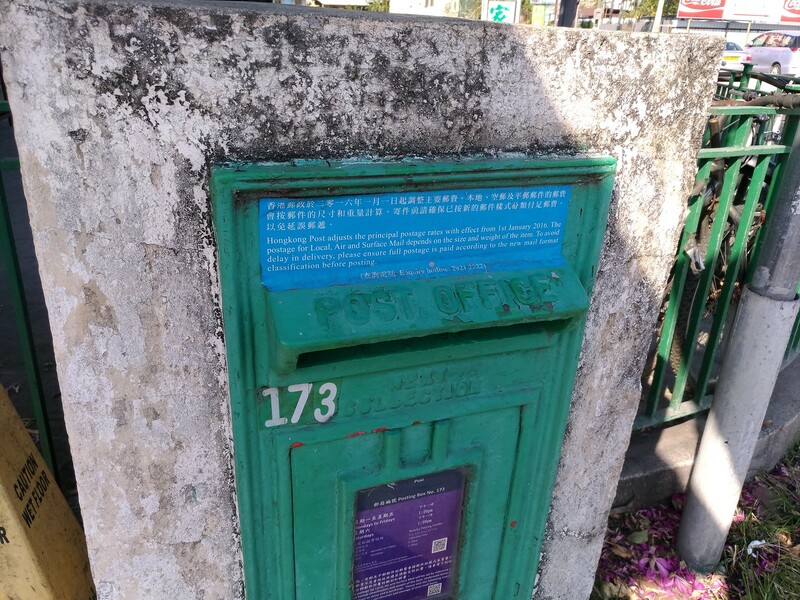 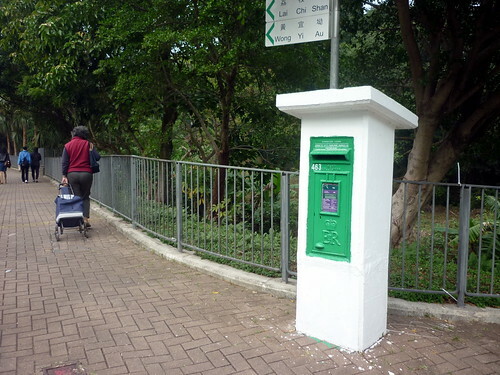 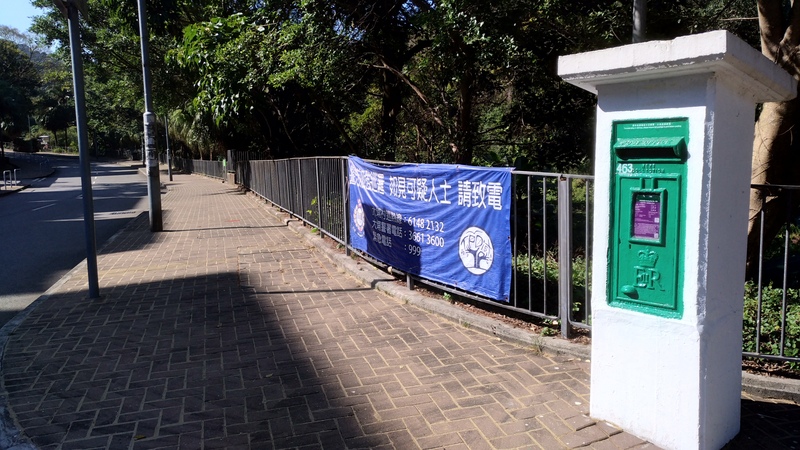 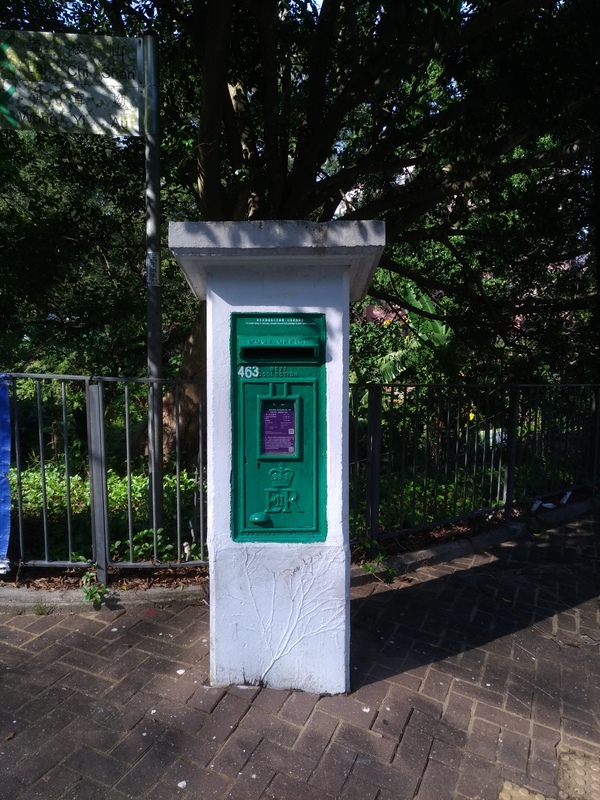 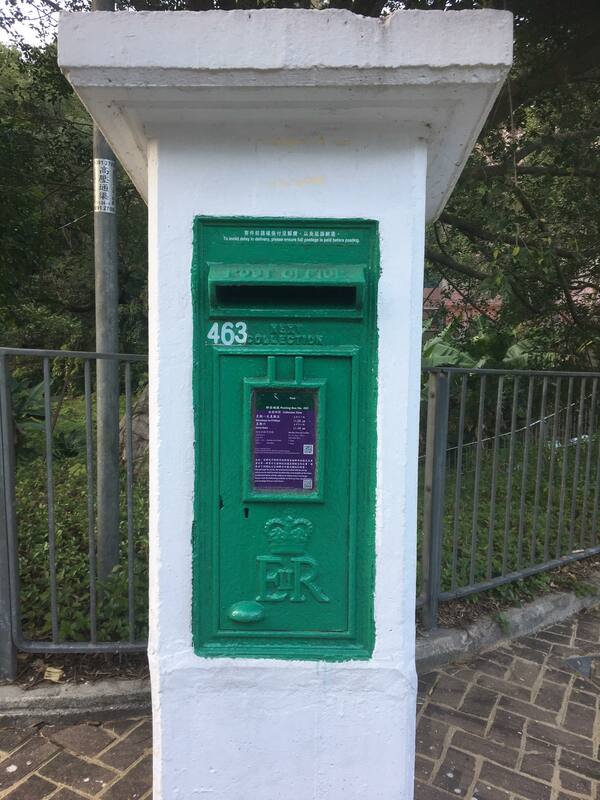 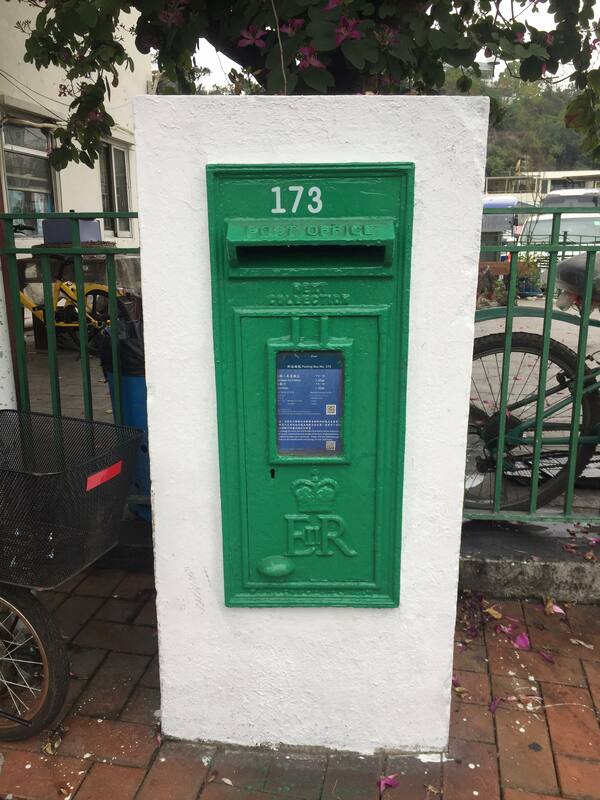 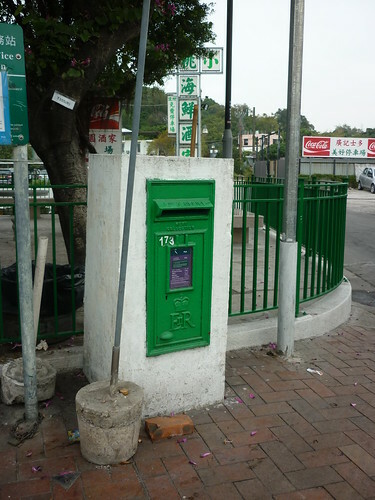 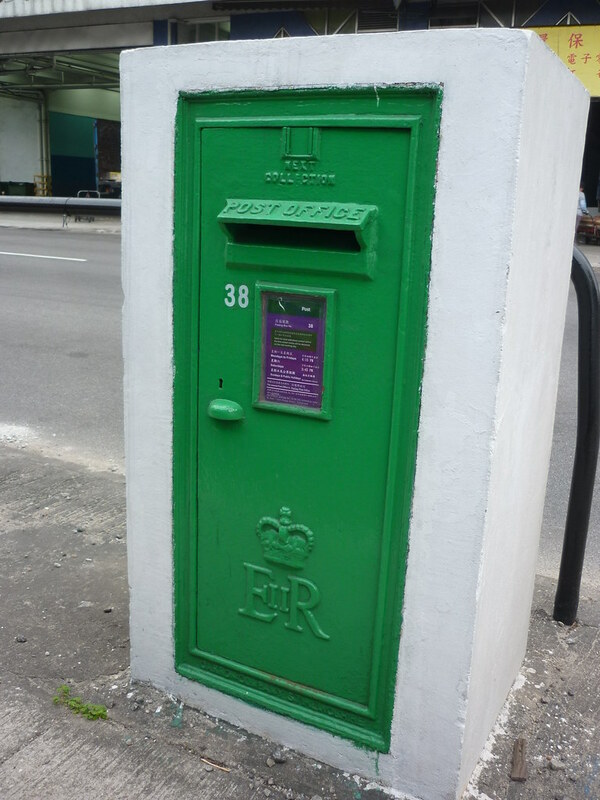 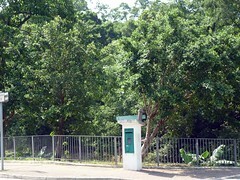 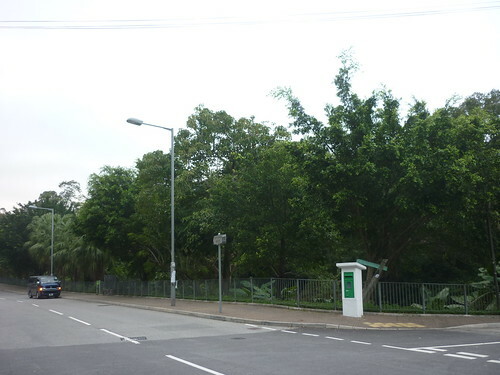 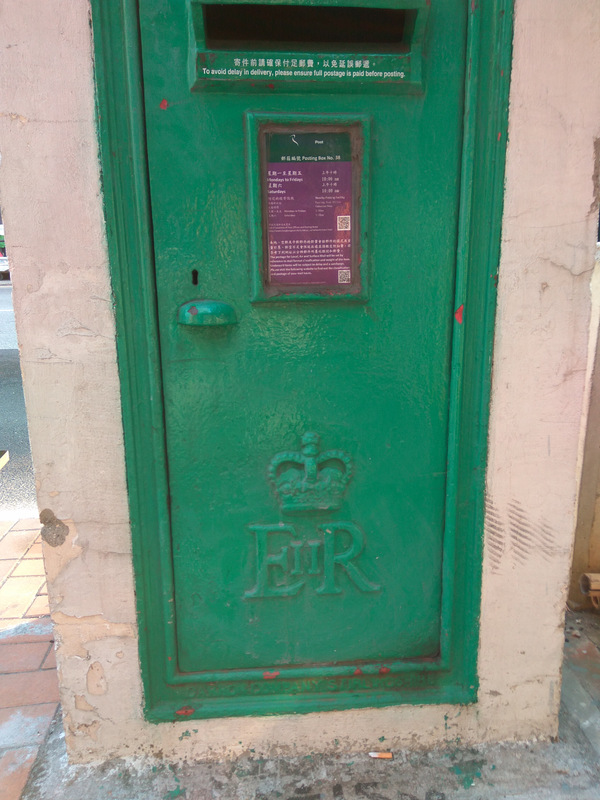 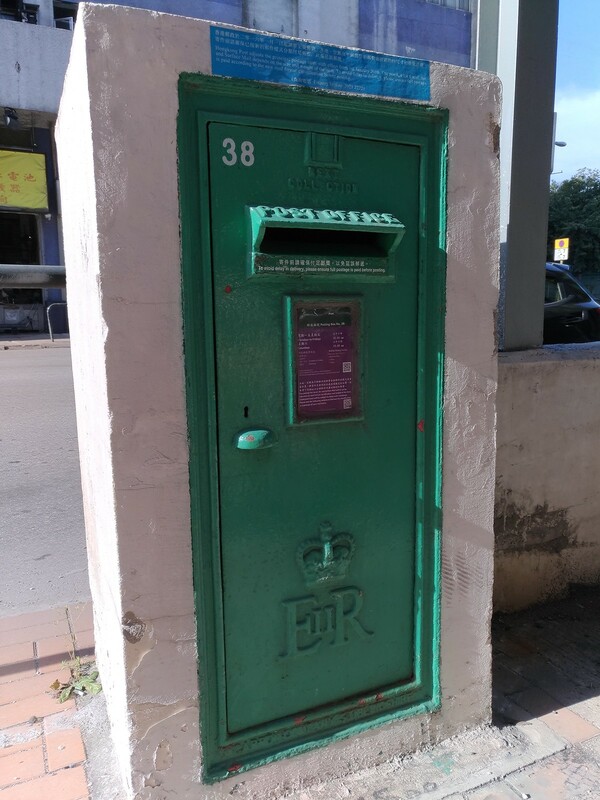 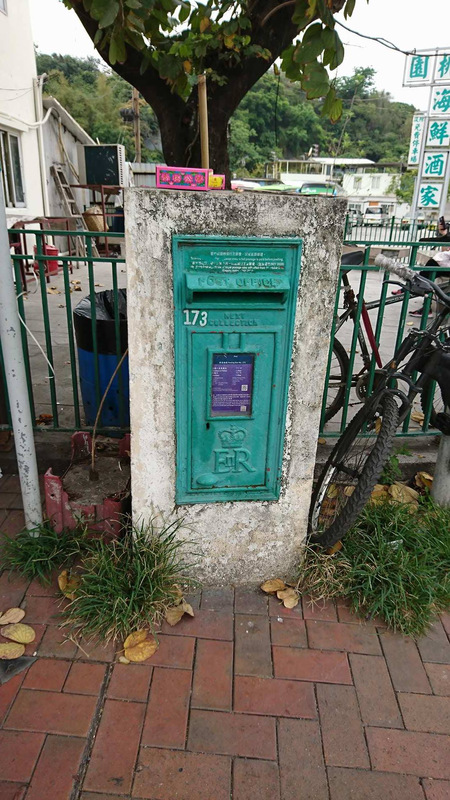 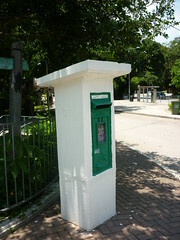 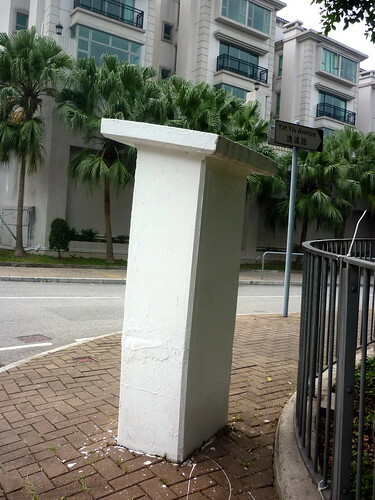 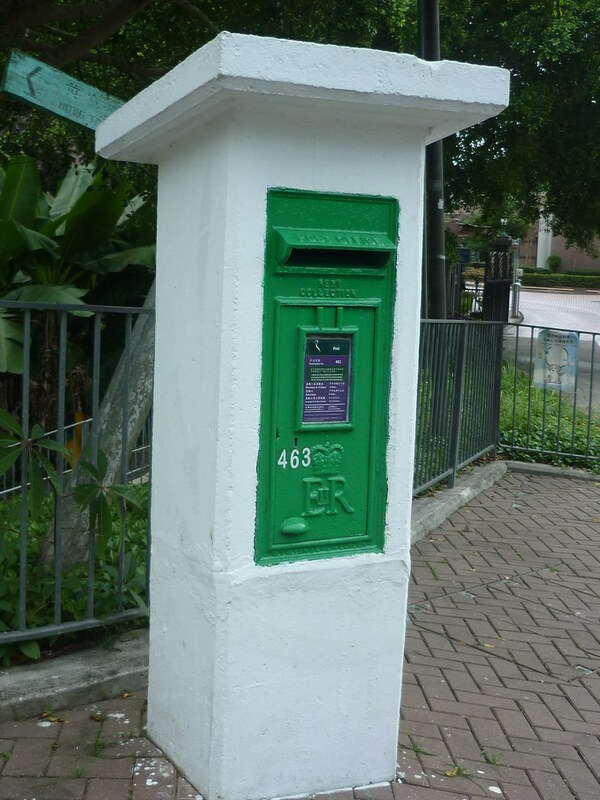 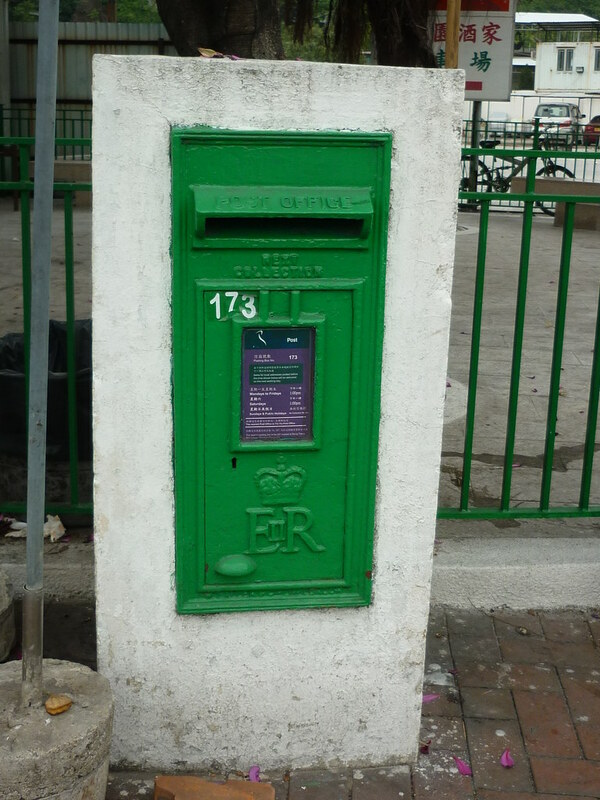 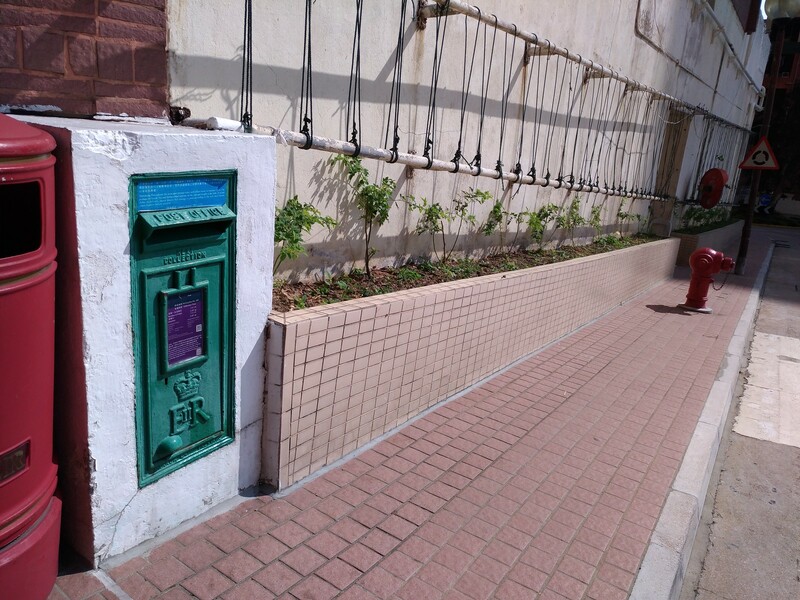 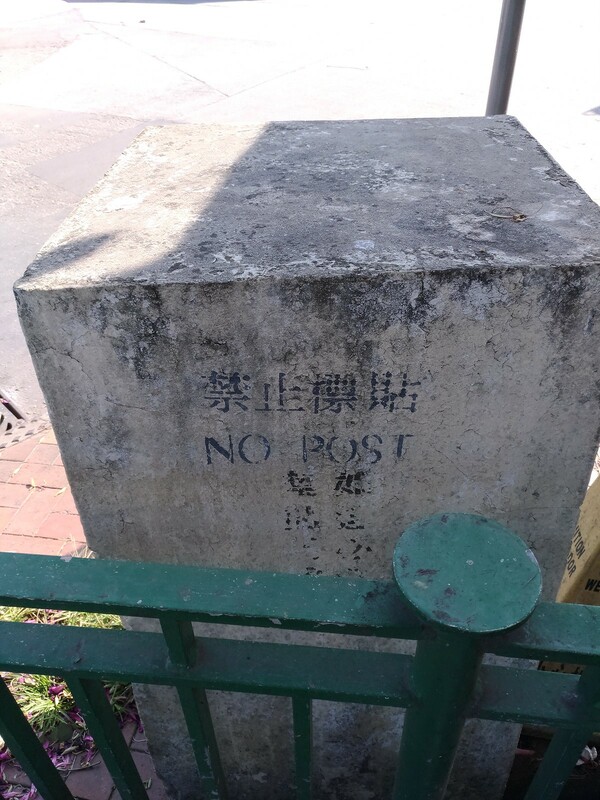 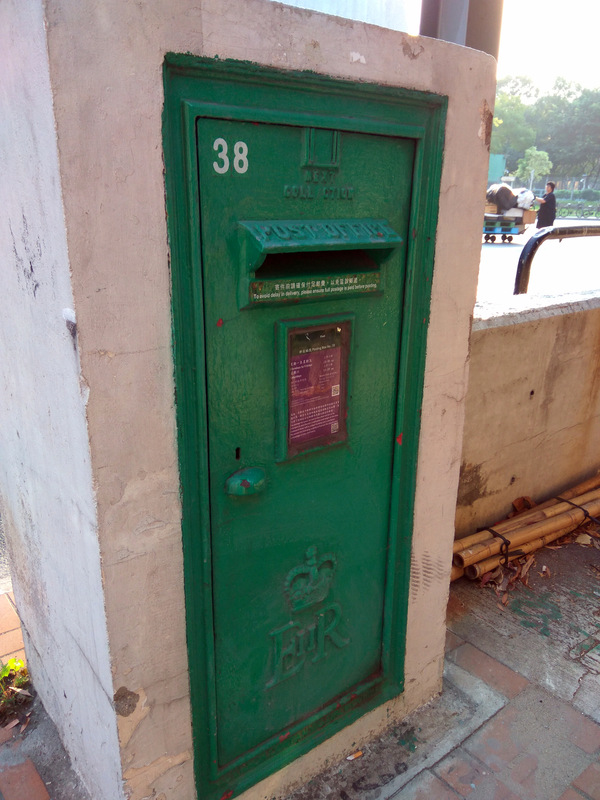 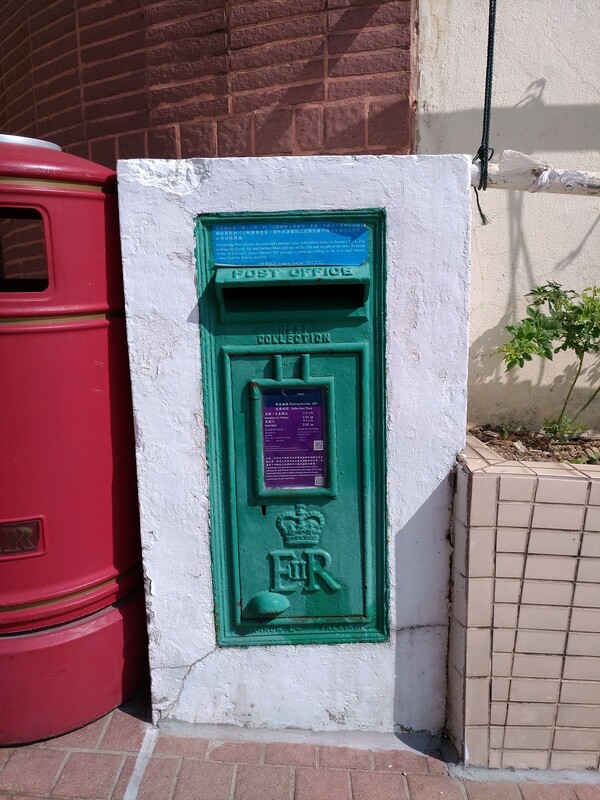 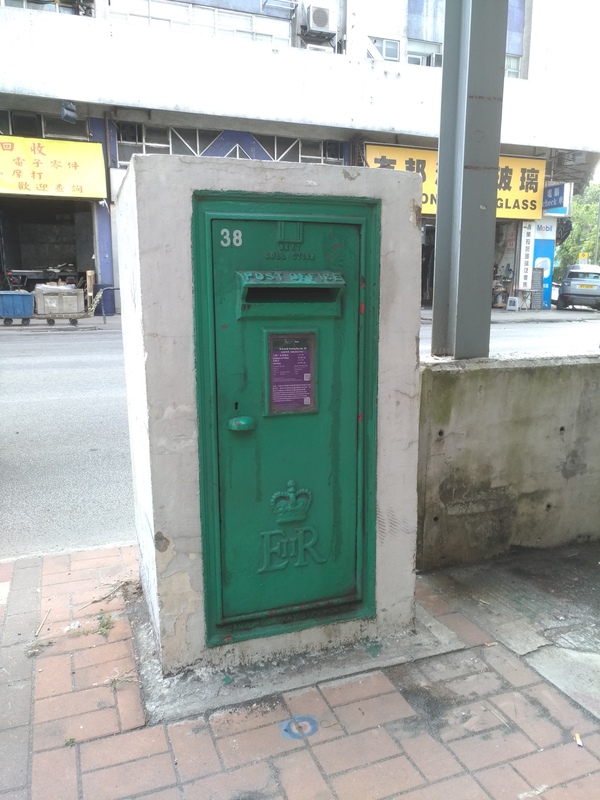 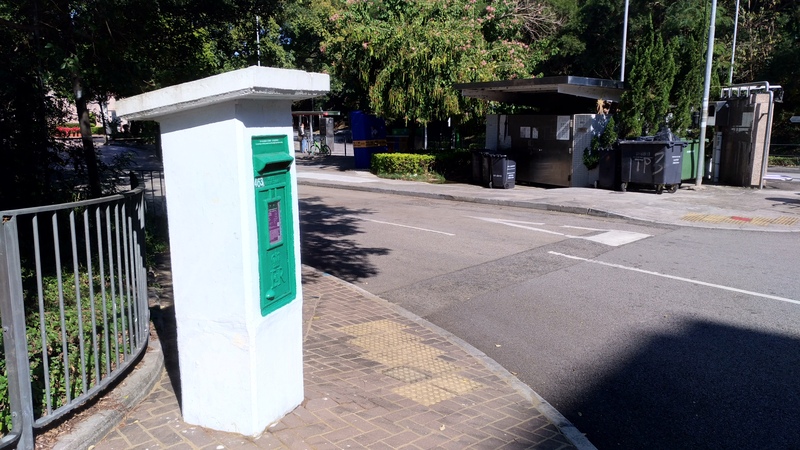 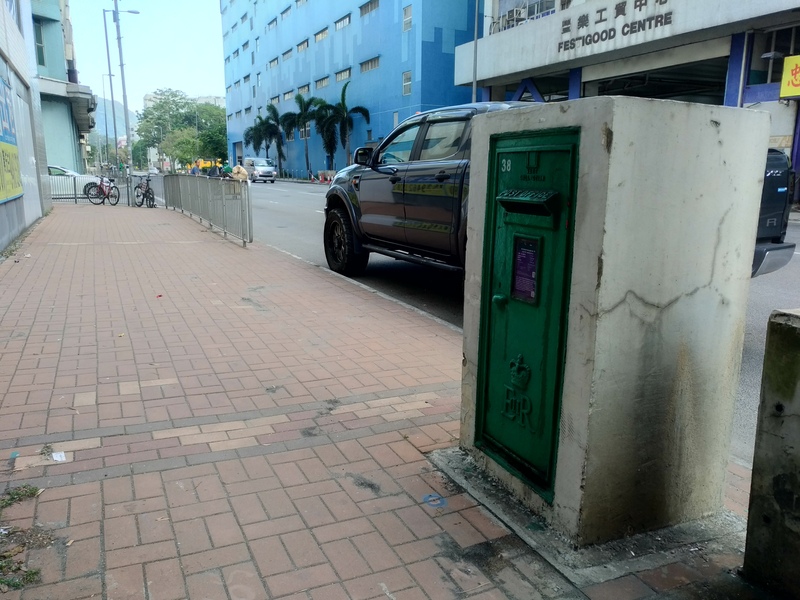 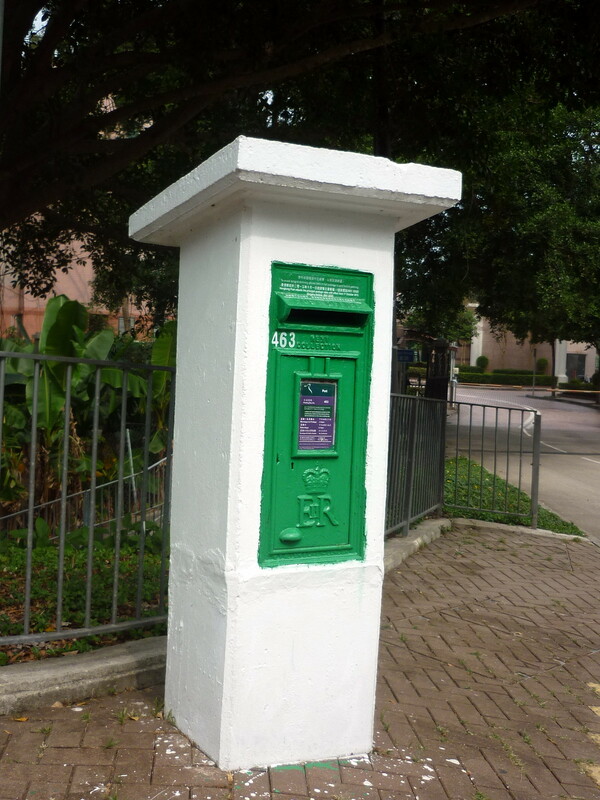 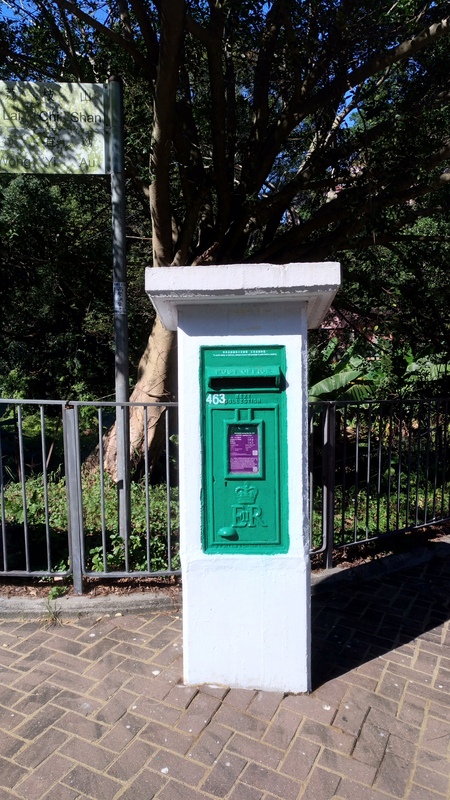 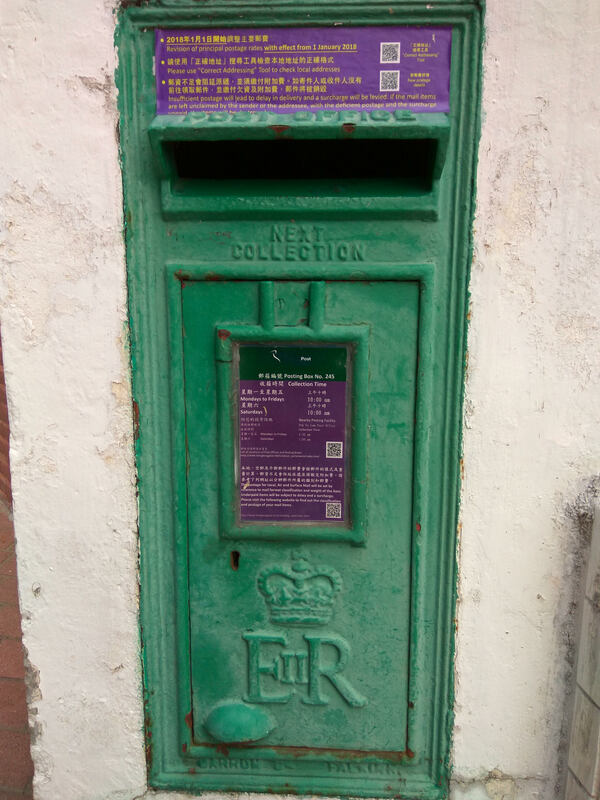 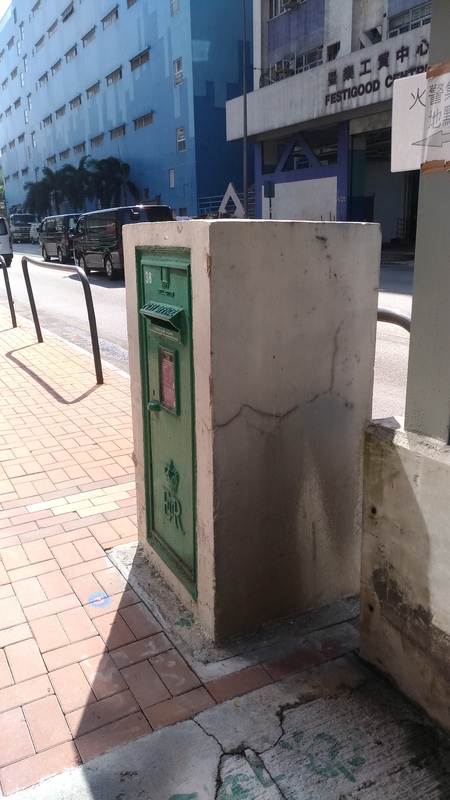 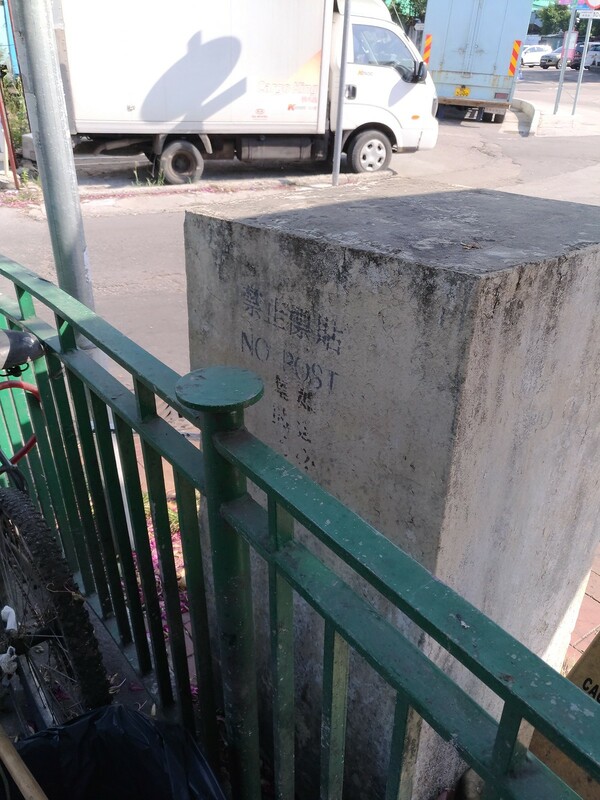 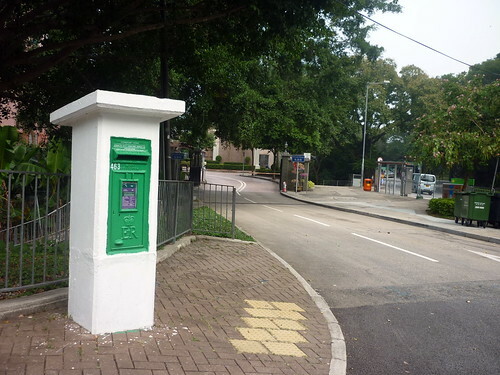 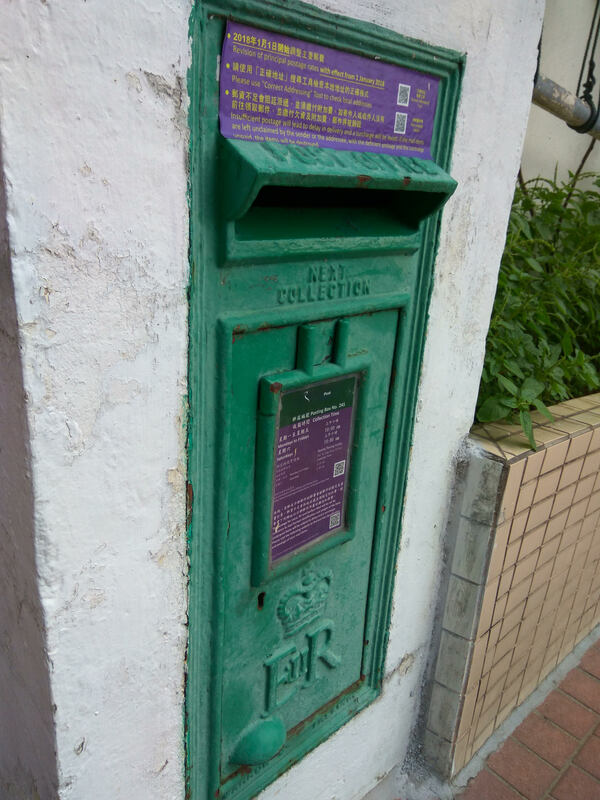 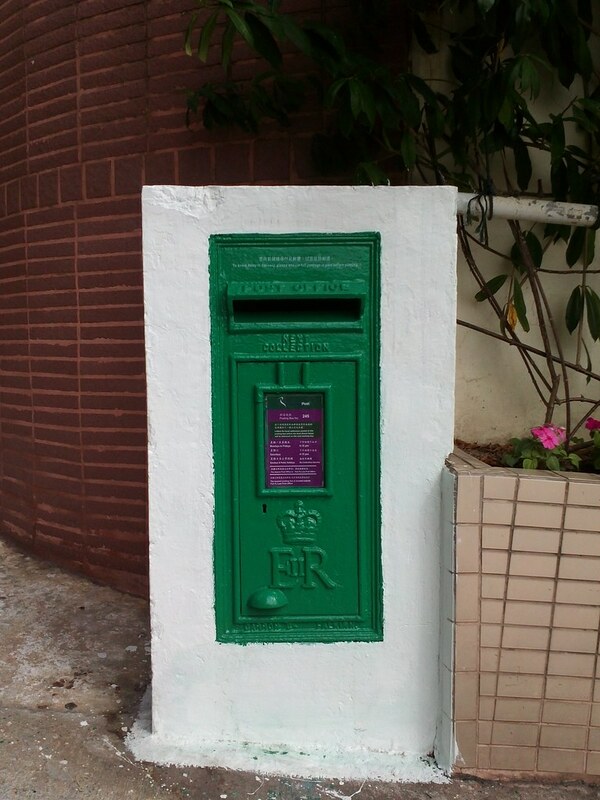 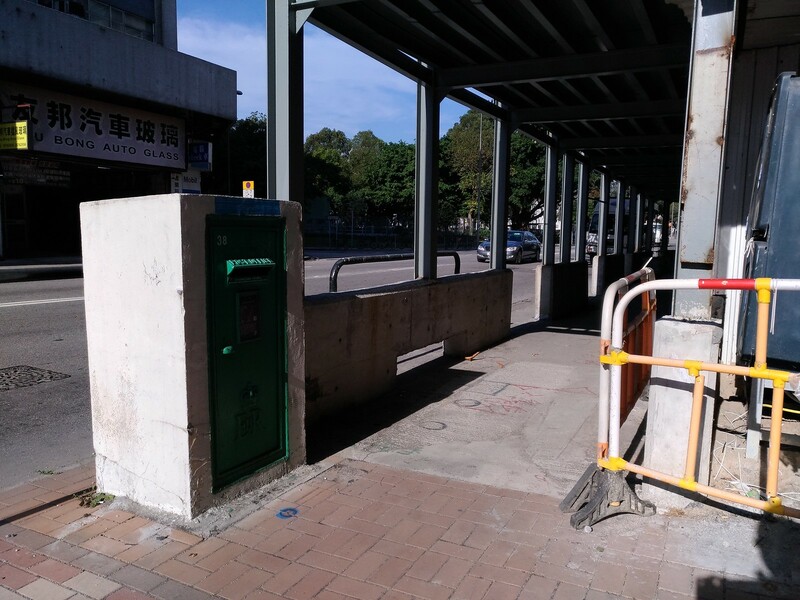 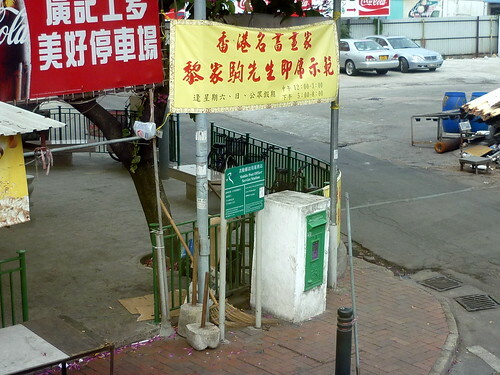 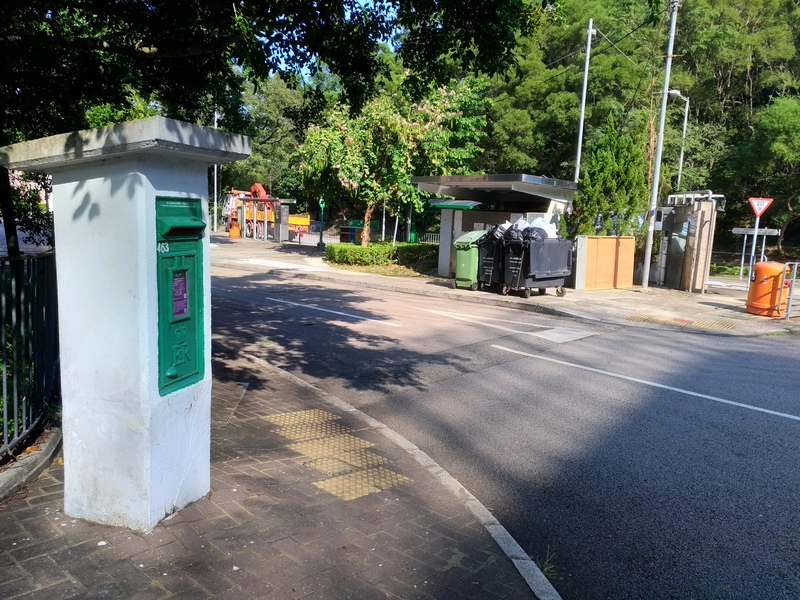 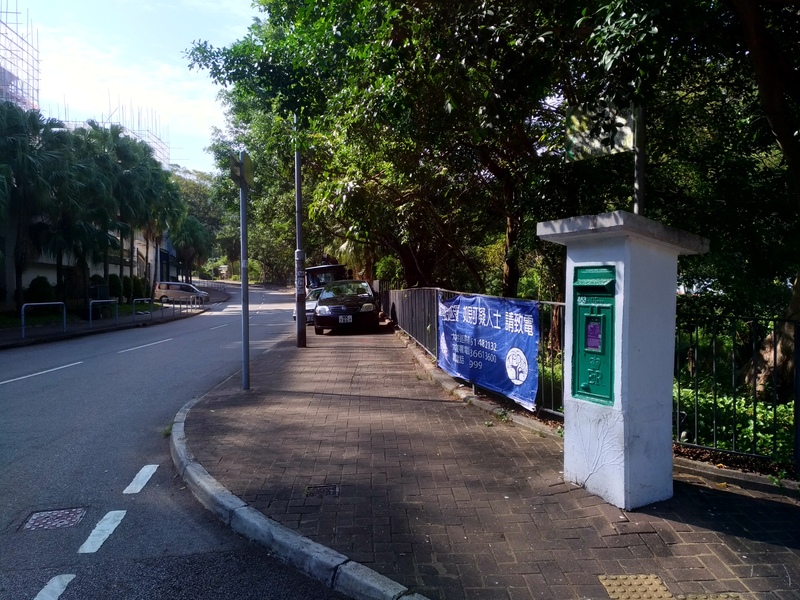 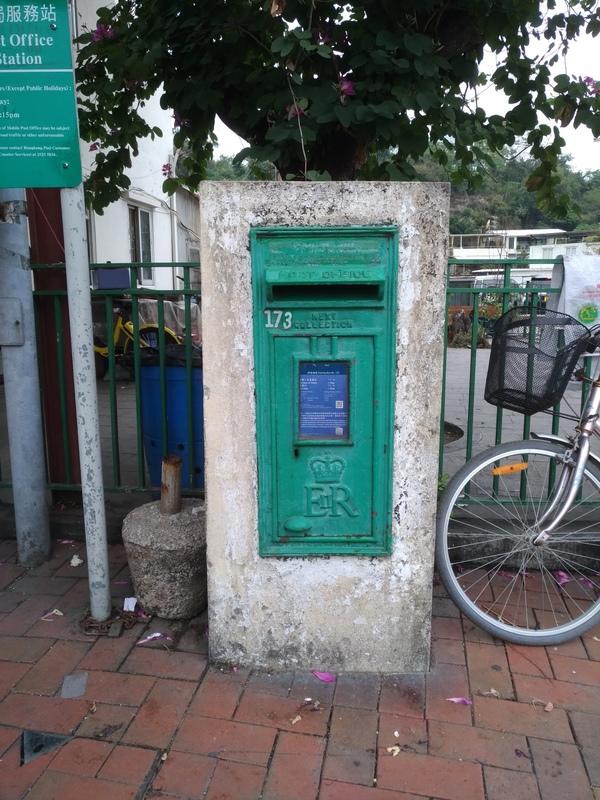 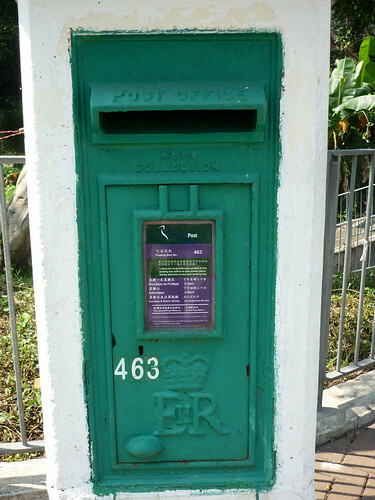 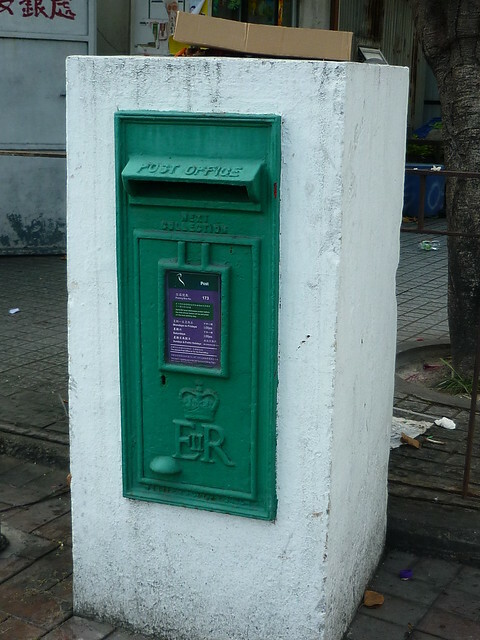 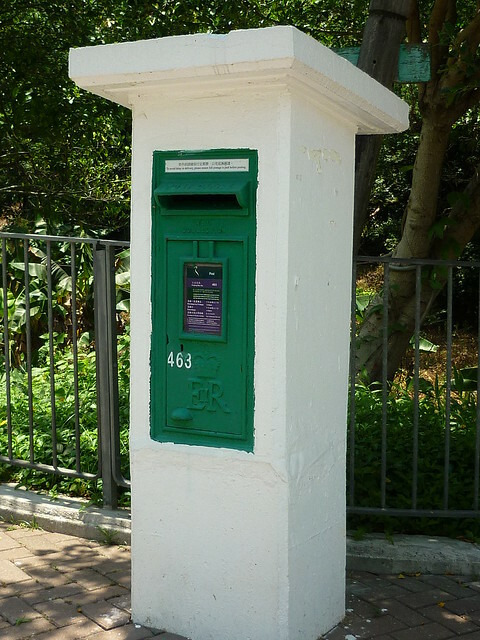 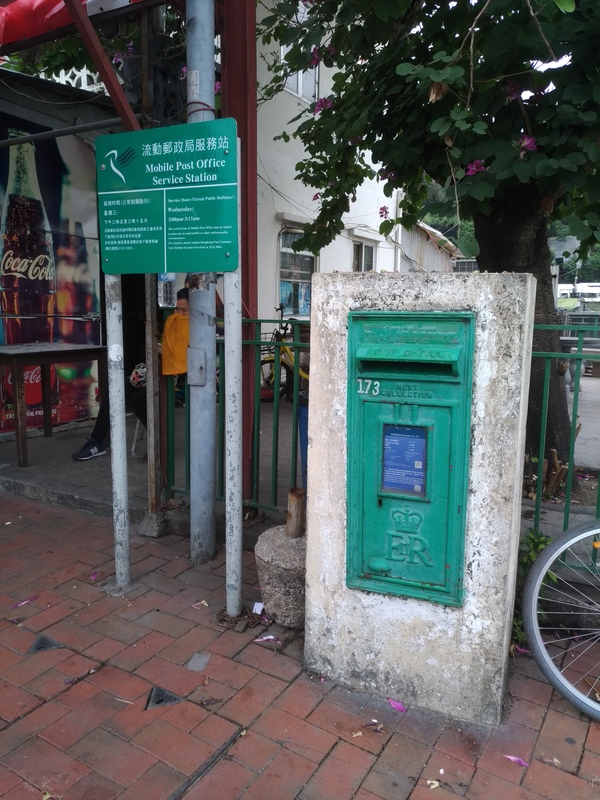 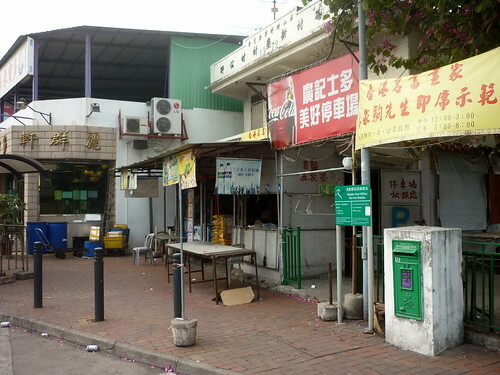 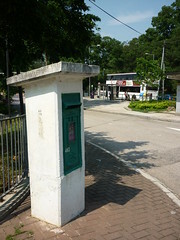 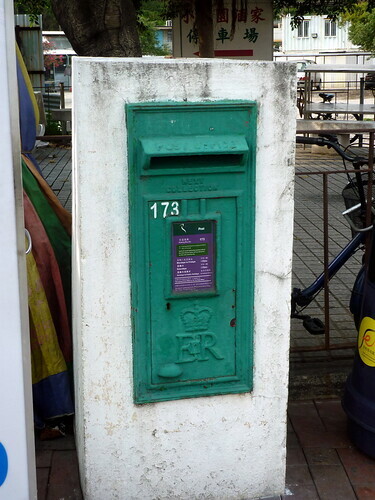 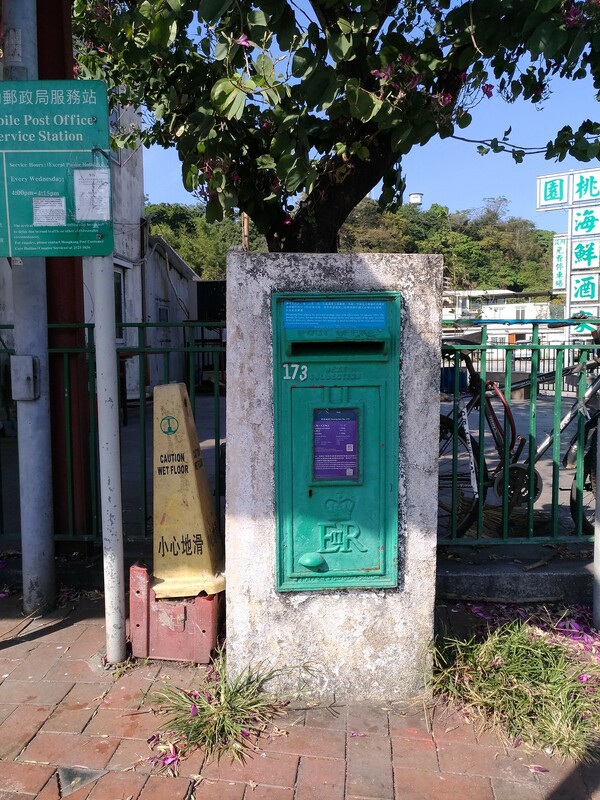 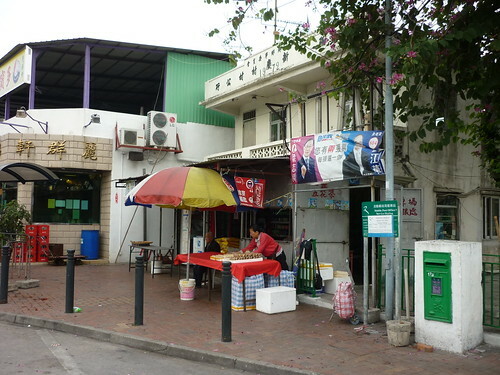 Thank you for your email of 15 December 2016 regarding the Street Posting Box (SPB) Number 463 located at Savanna Garden / Tai Po Kau, Tai Po Road, Tai Po. 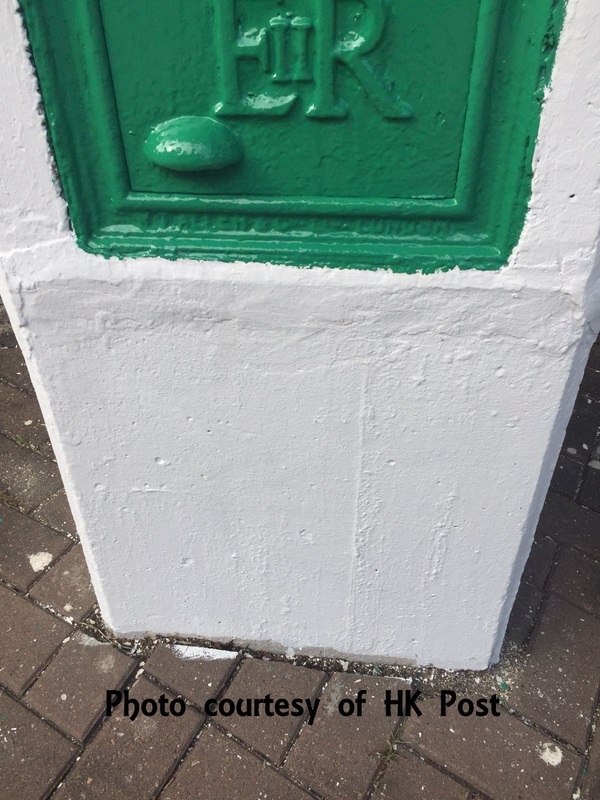 Please be advised that we have a programme to repaint our SPBs on a regular basis in order to ensure that they are maintained in a proper condition. 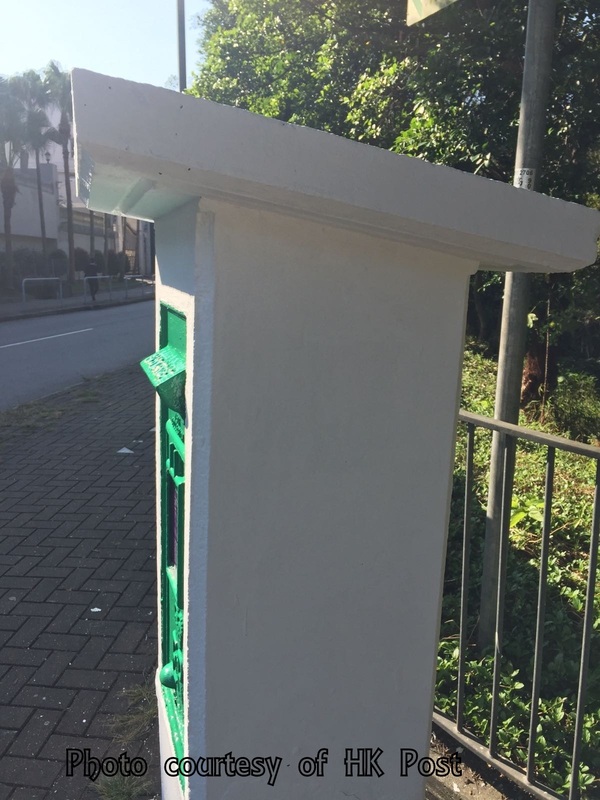 Under the programme, it covers any ad-hoc repainting need upon reporting of the unsatisfactory condition of the SPB after our regular inspection conducted at site. 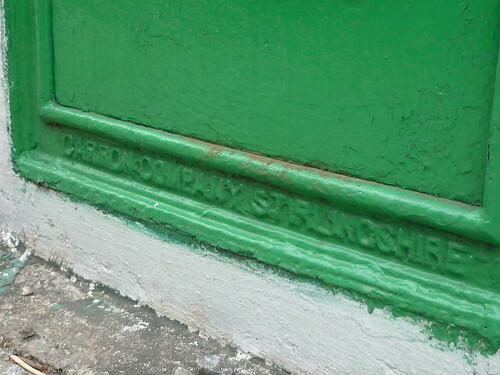 In general, every SPB will be repainted in about every 3 years. 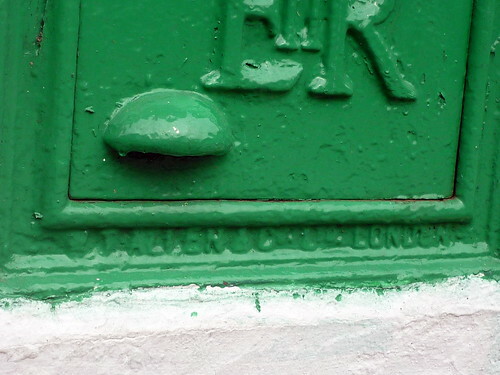 According to our records, SPB 463 was last re-painted in February 2015. 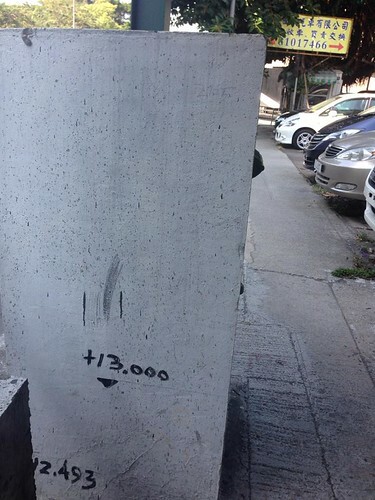 Thank you again for your information. 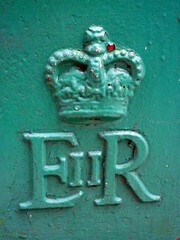 If you have any further questions, please feel free to contact me. 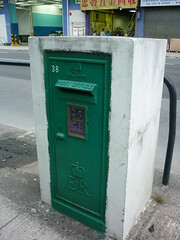 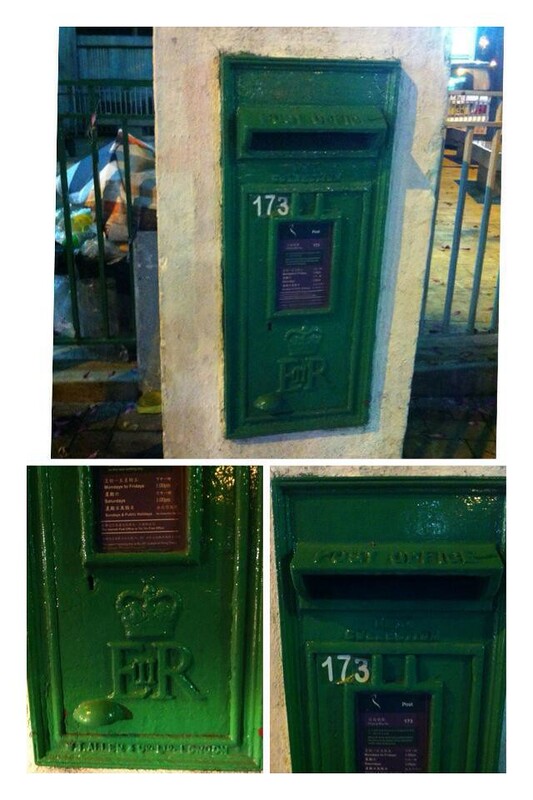 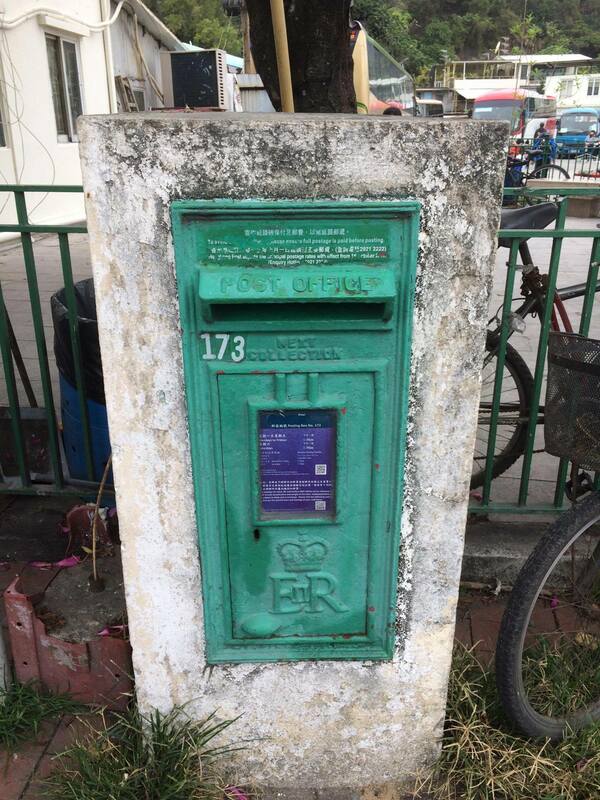 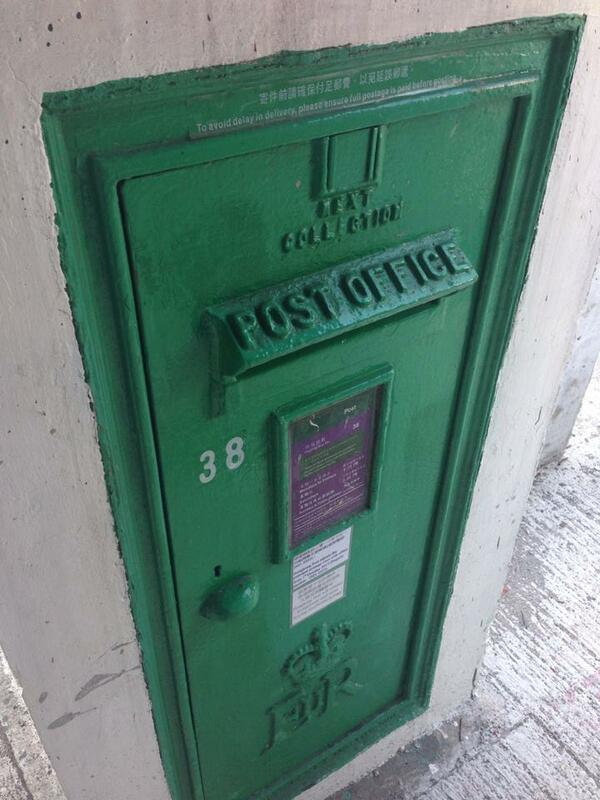 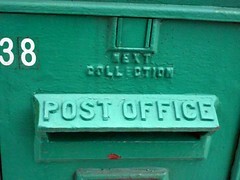 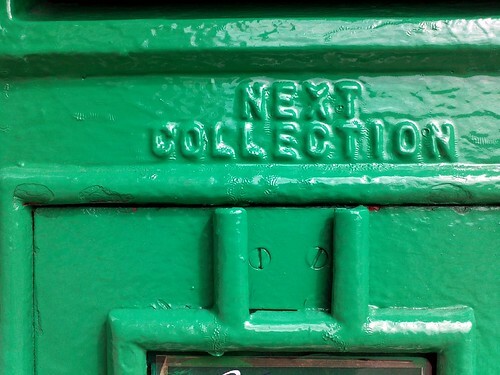 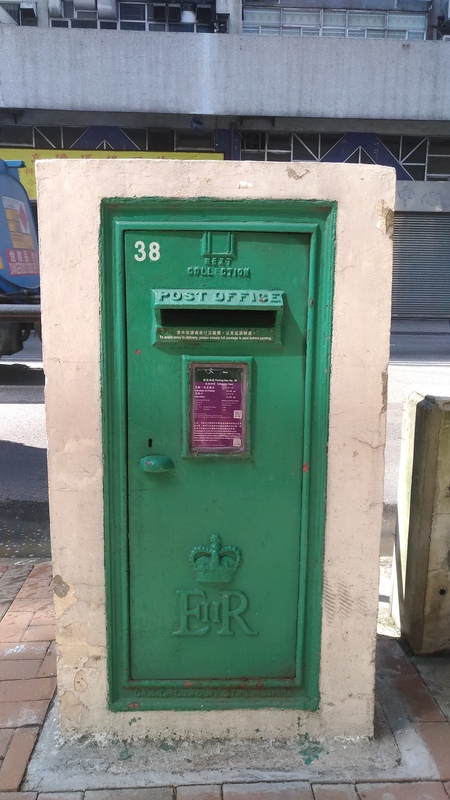 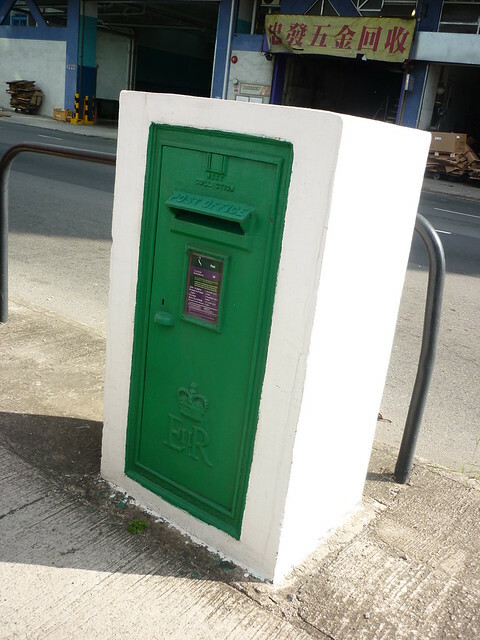 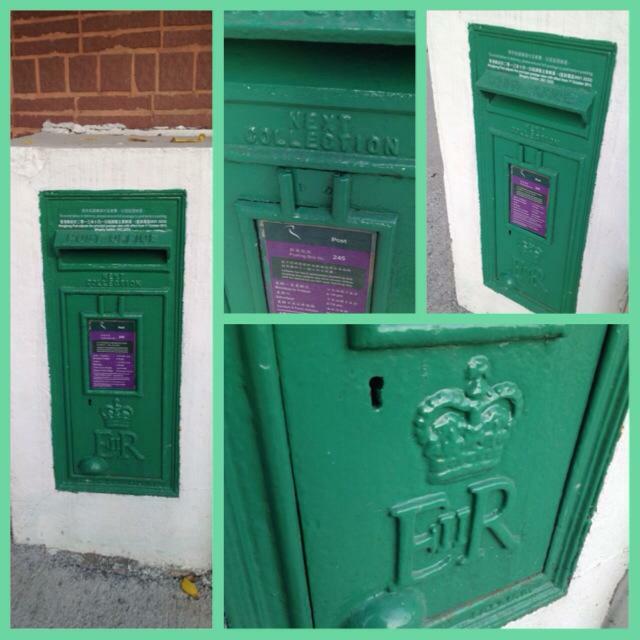 My team is conducting our annual checkup of the vintage postboxes. 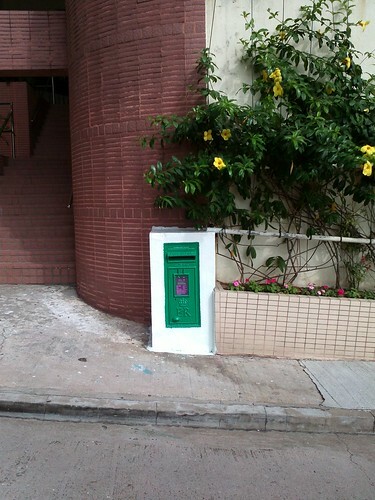 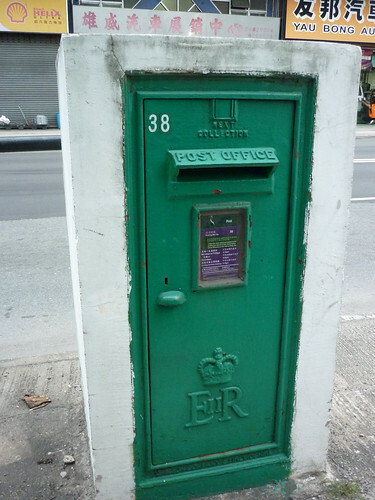 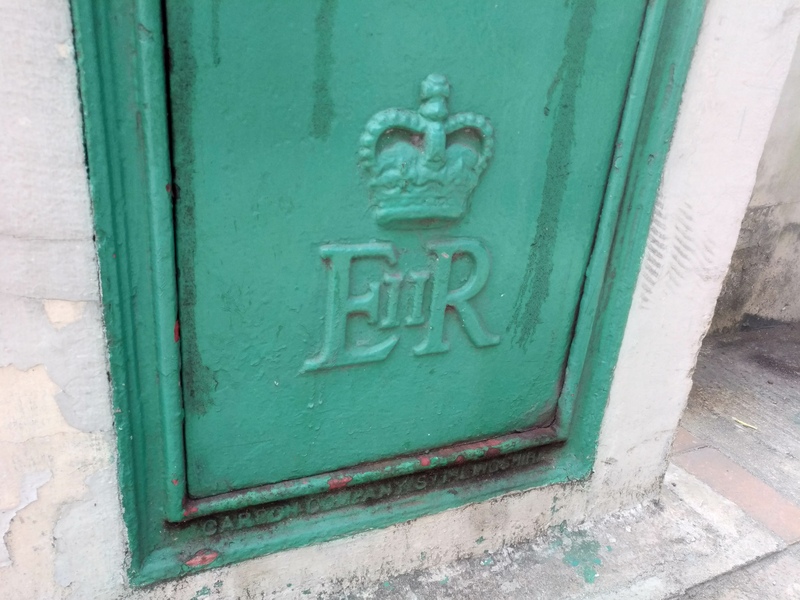 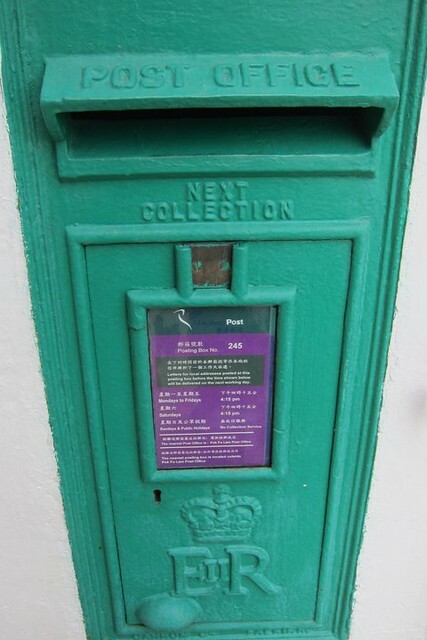 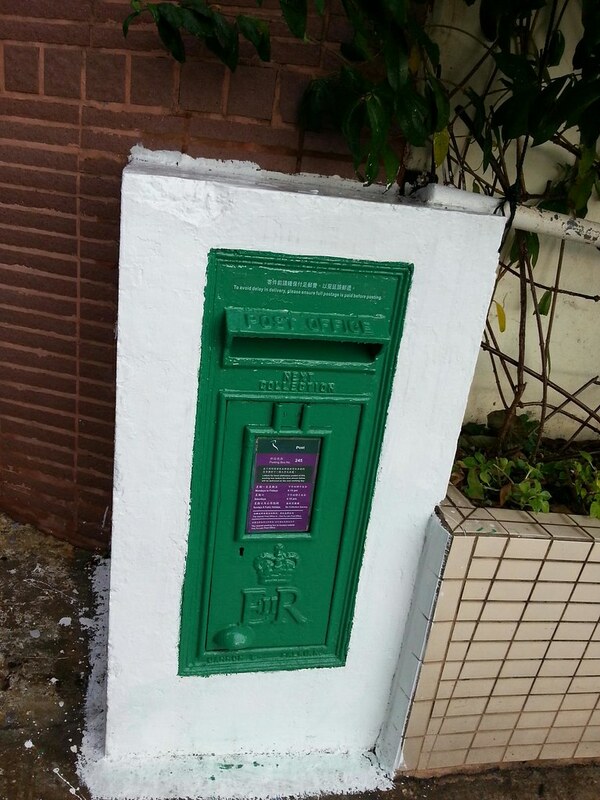 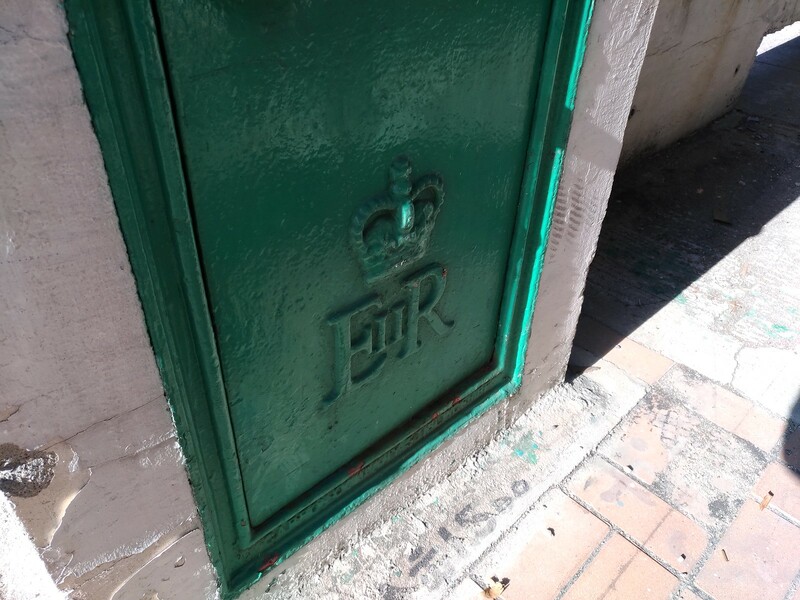 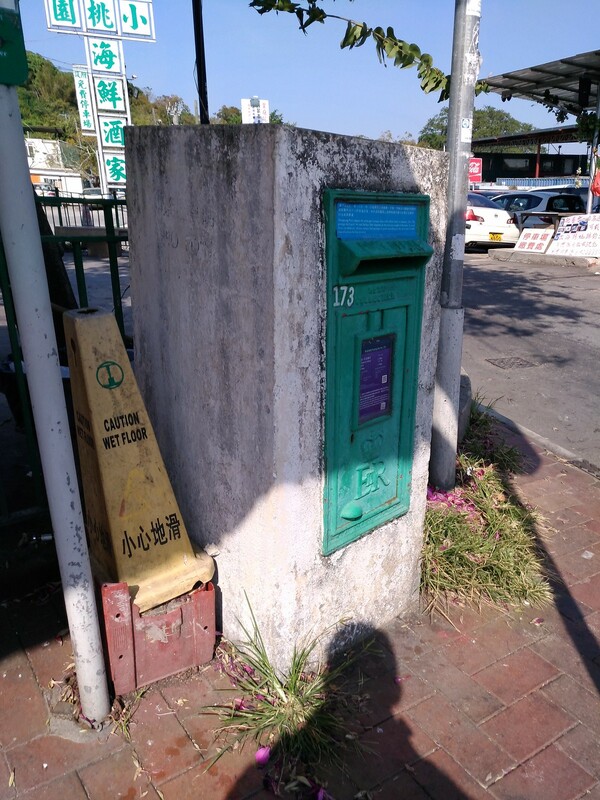 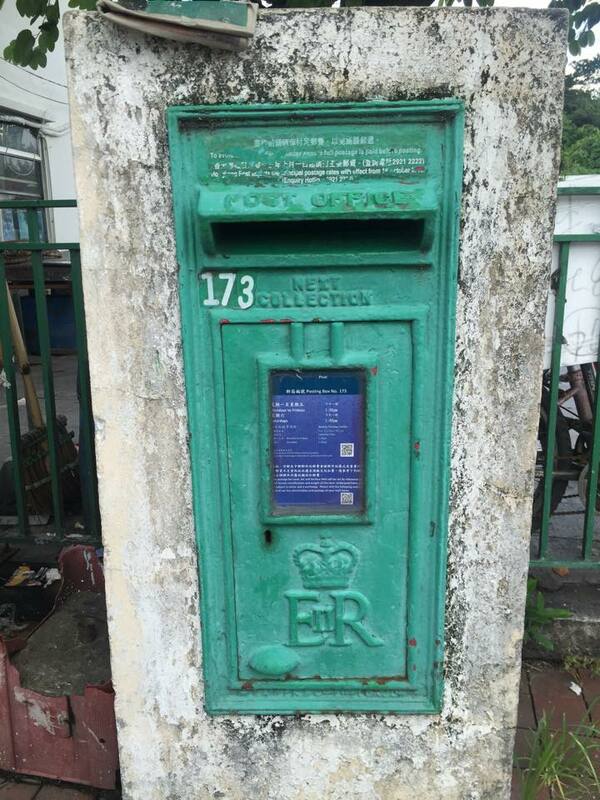 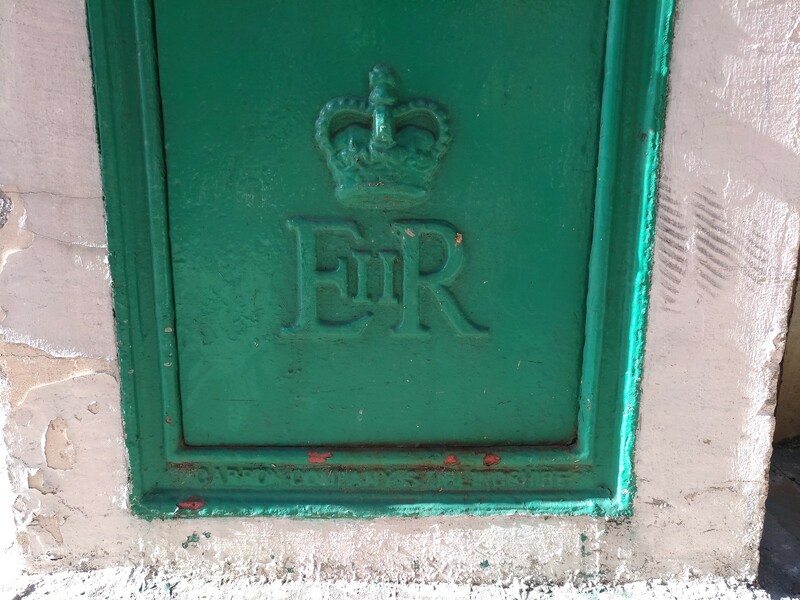 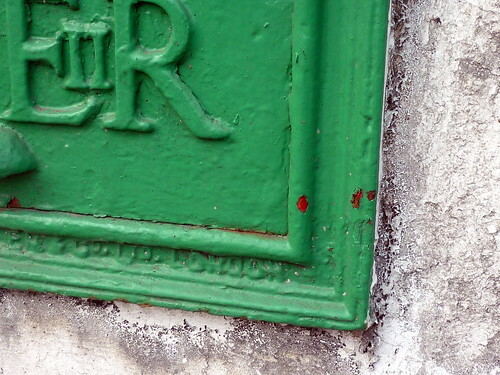 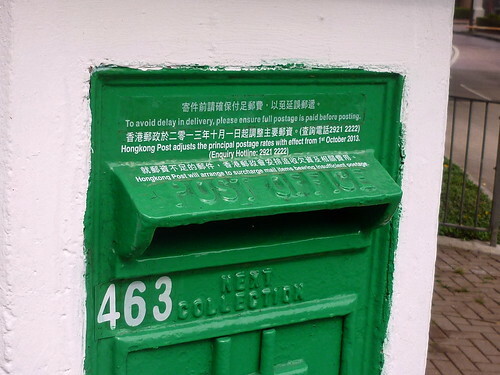 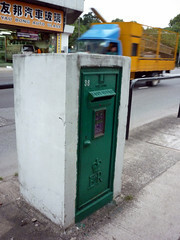 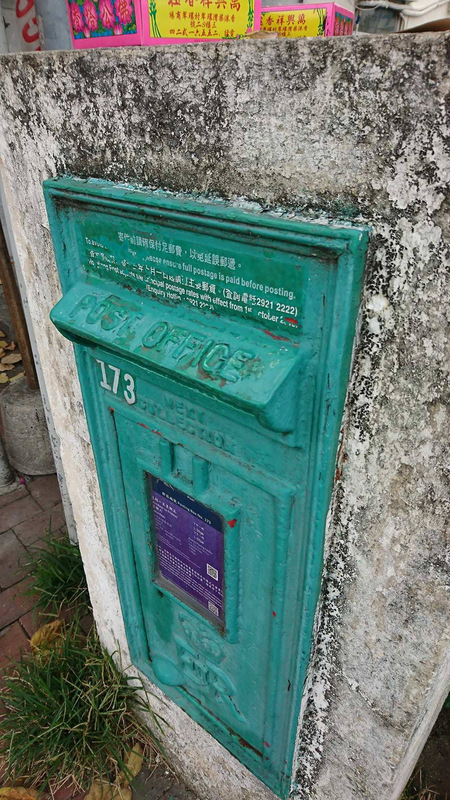 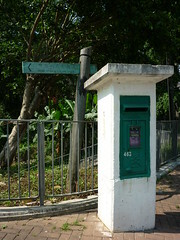 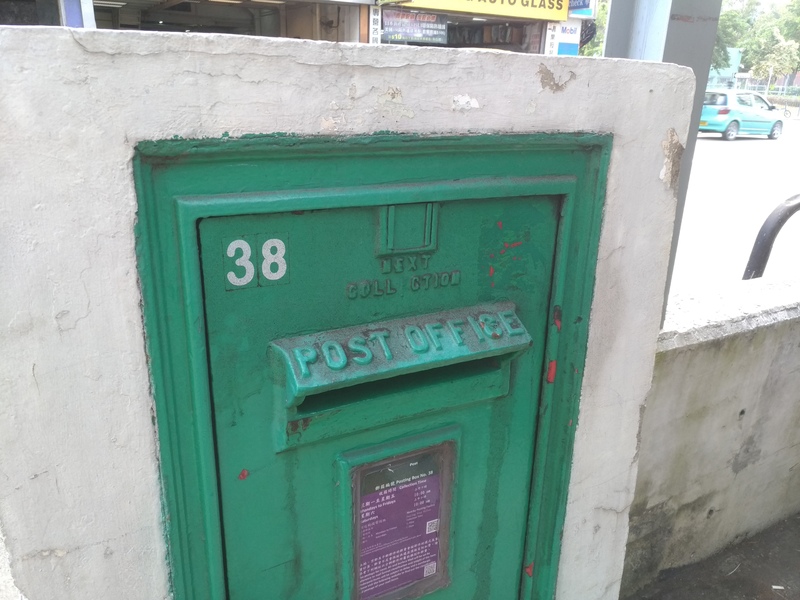 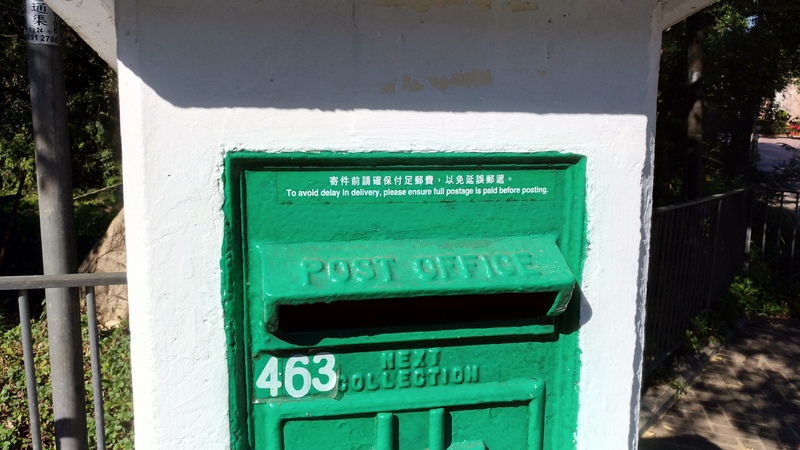 In our visit to Postbox 463 at Savanna Garden / Tai Po Kau, Tai Po Road, Tai Po, we notice underneath the paint there seems to be trapped some vine that had climbed onto the structure in which the postbox is embedded. 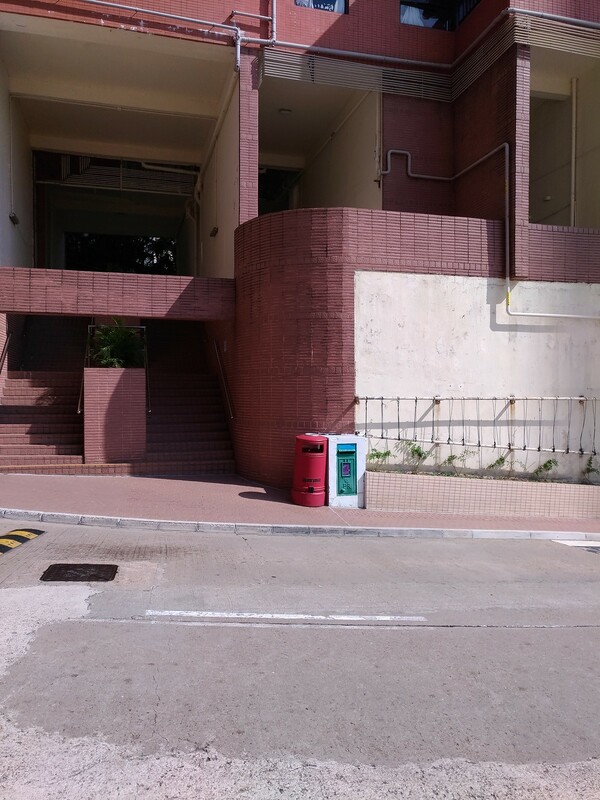 (I attach the photos for your reference; in case they are too large for your email account, they could also be found at https://drive.google.com/open?id=0BxbXpNwnjON2dVlmZ3B3bmRCajA). 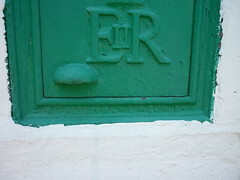 We also have visited the box in July of this year. 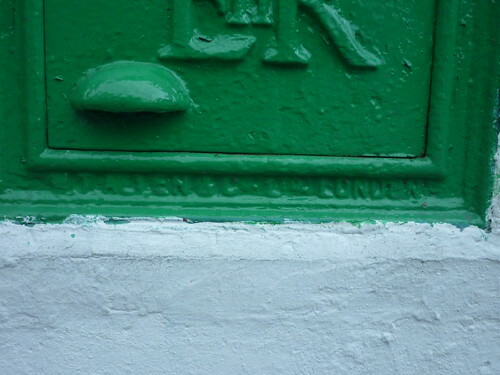 When we compared the photos of the box in July with the current ones, we noticed two things: new paint seems to have been applied in the intermediate period, and no vine was noticeable under the paint in July. 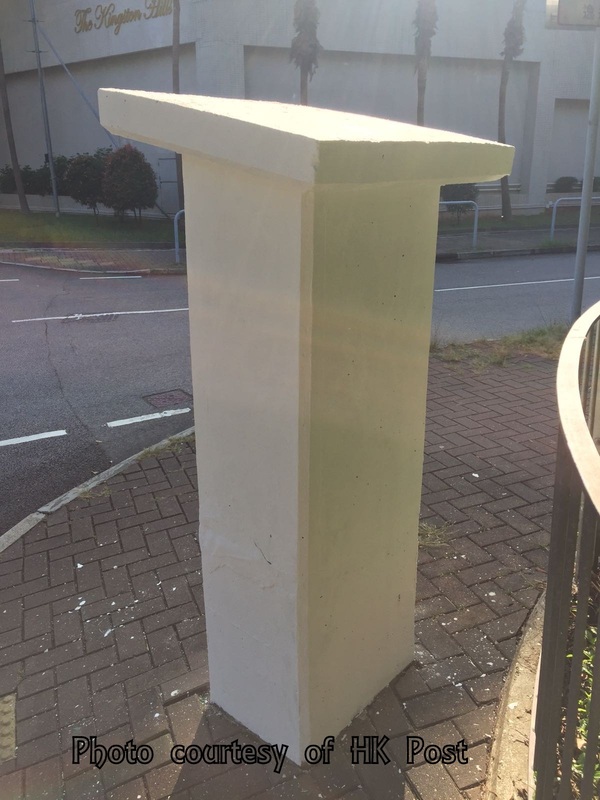 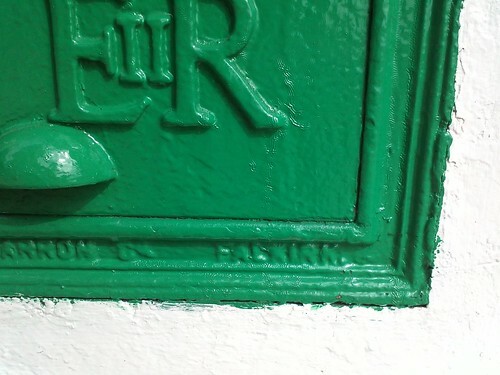 We therefore suspect the vine was developed between July and whenever the new paint was applied and somehow the people responsible for painting the box failed to remove the vine. 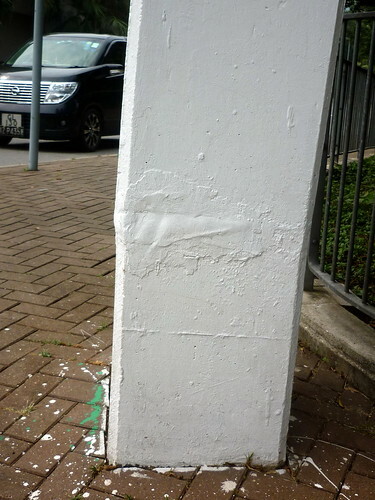 If that is the case, we believe this reflects badly on the craftsmanship of the party responsible for the painting. 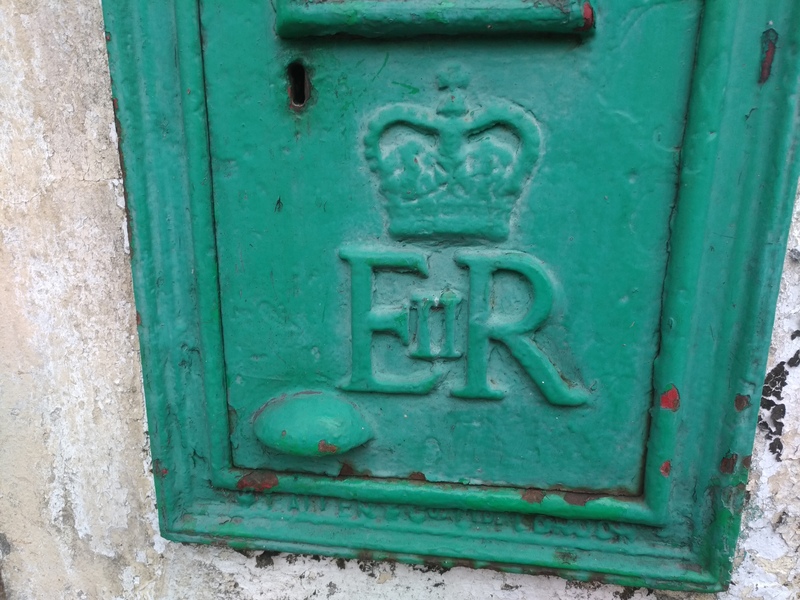 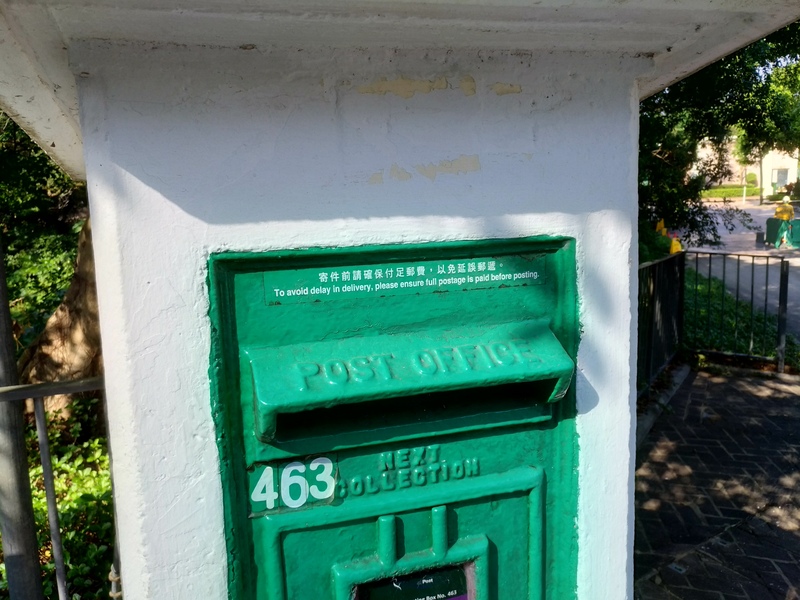 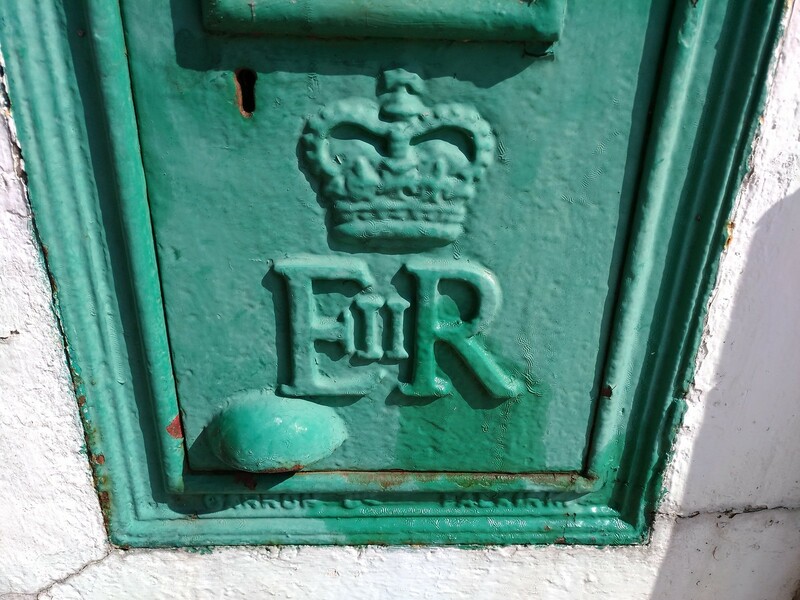 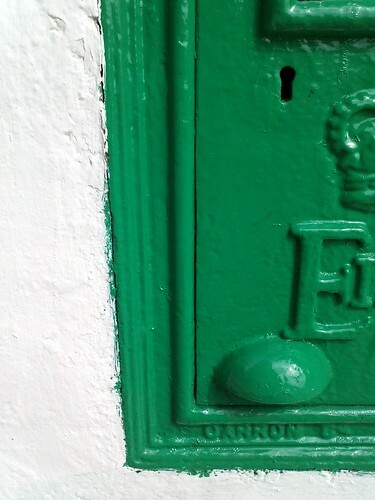 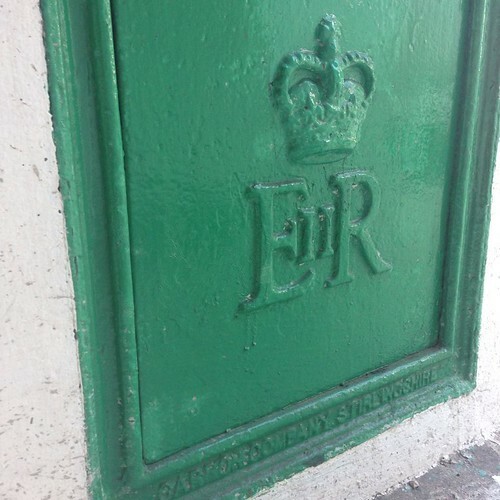 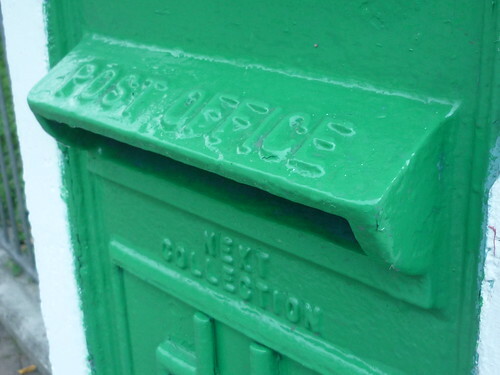 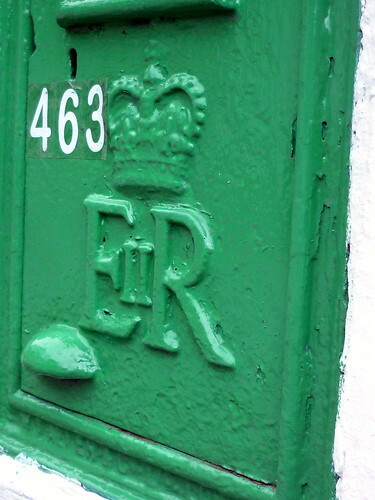 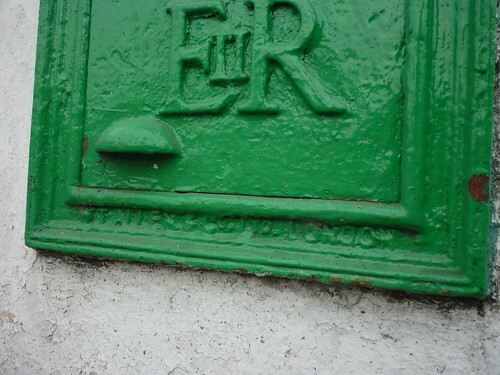 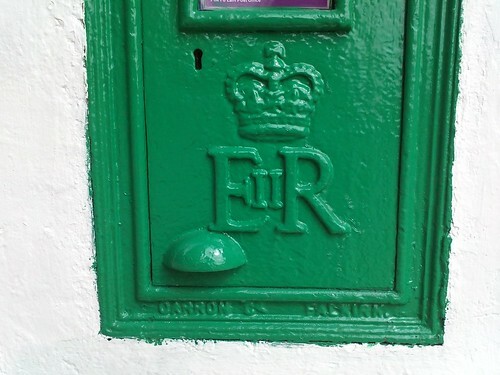 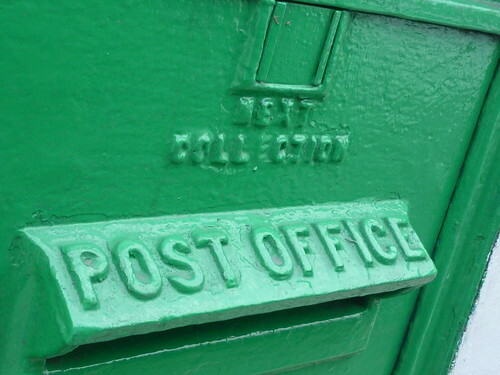 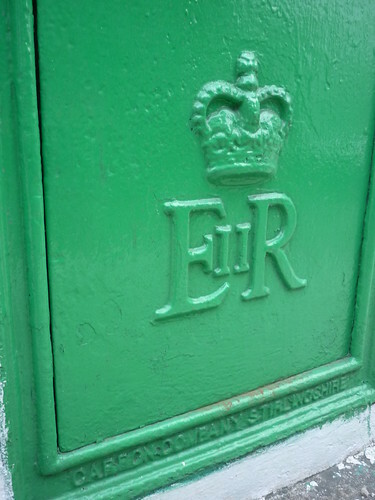 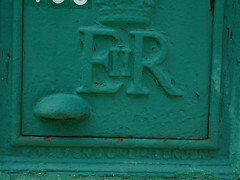 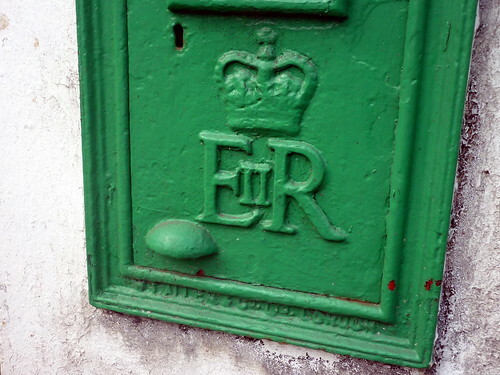 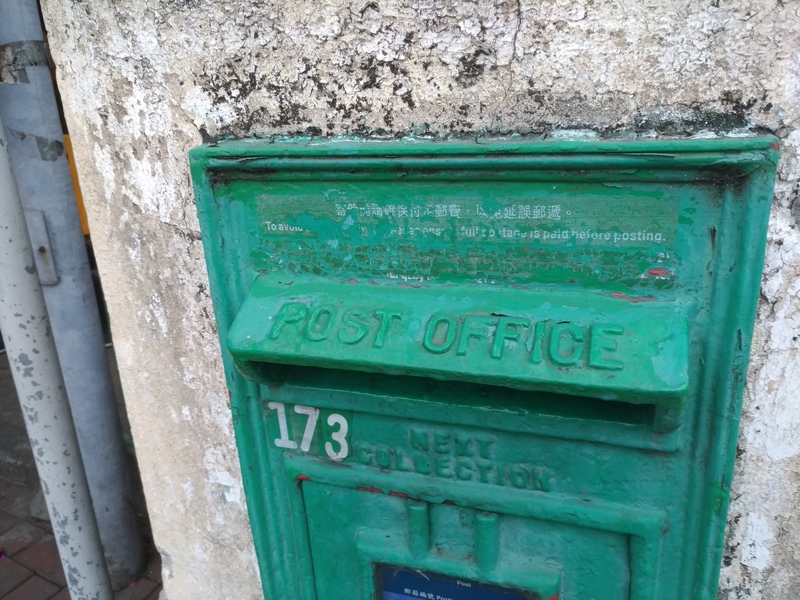 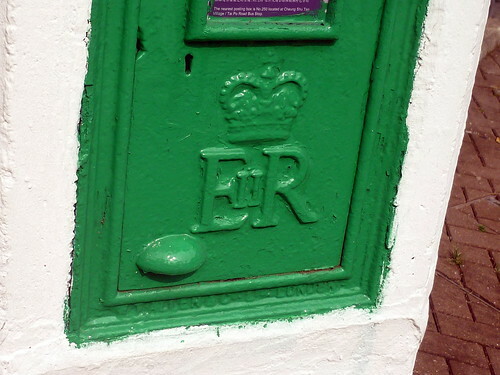 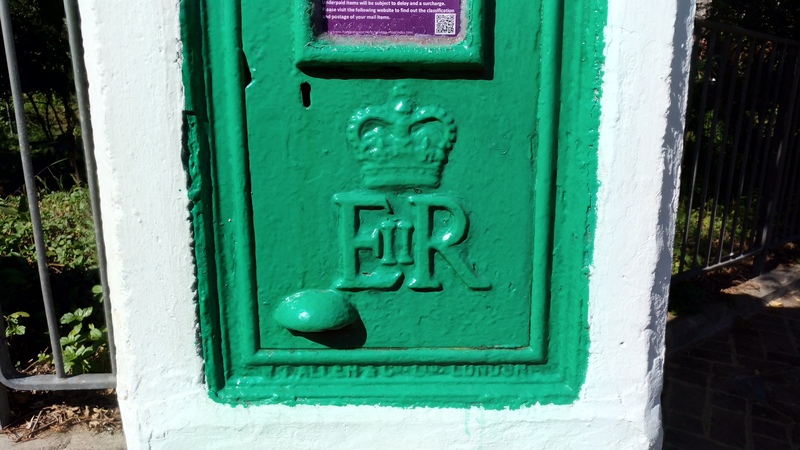 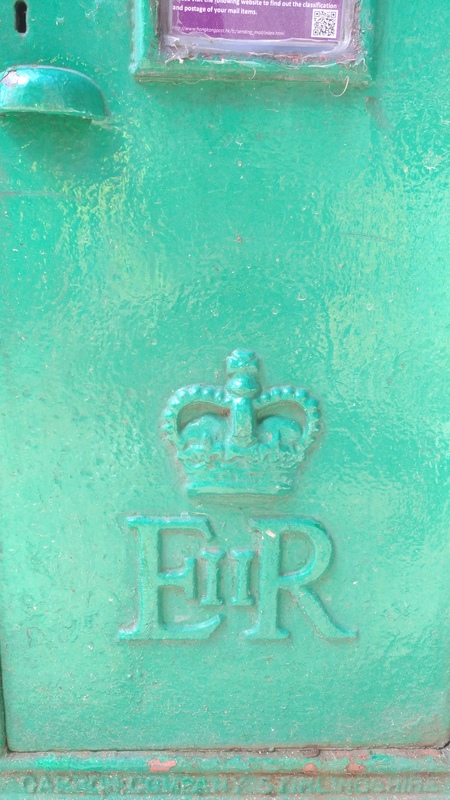 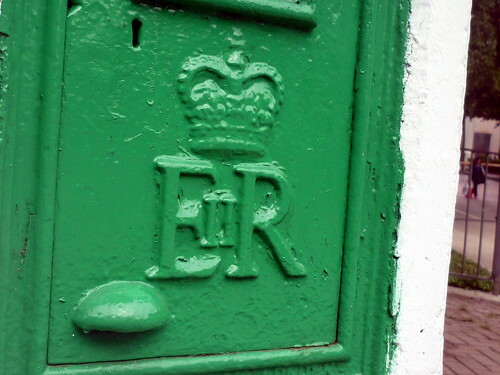 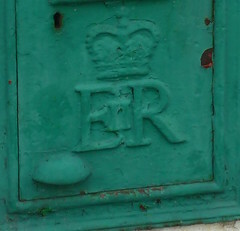 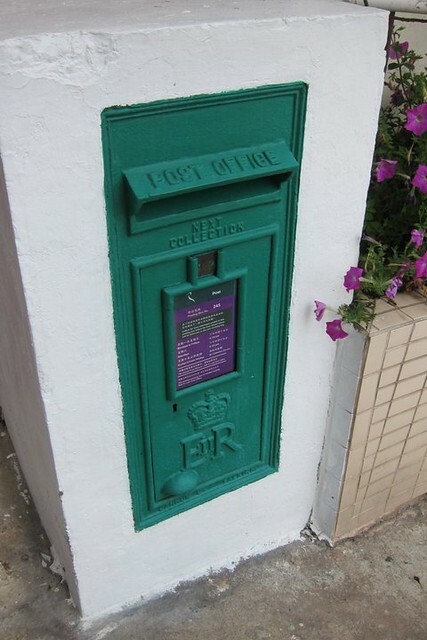 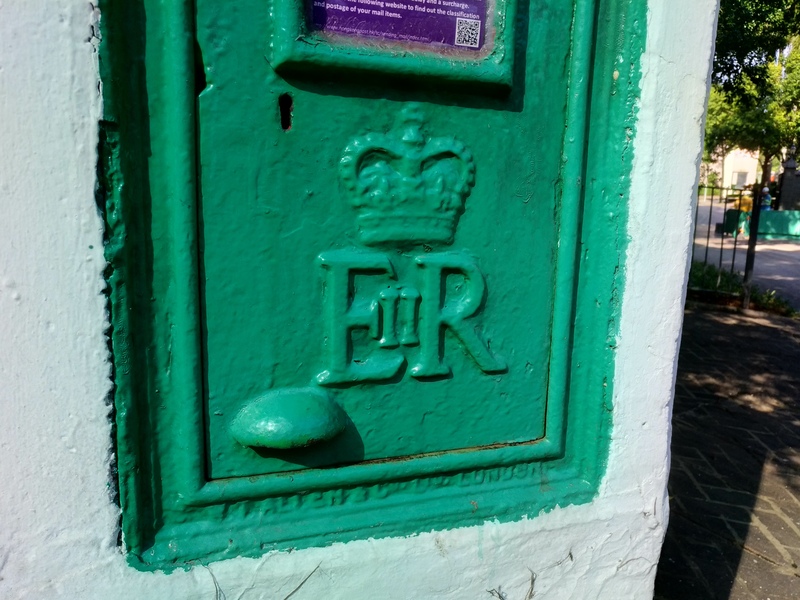 If however no new paint had been applied in the intermediate period, then it would mean the vine somehow found a way to grow on the postbox underneath the paint. 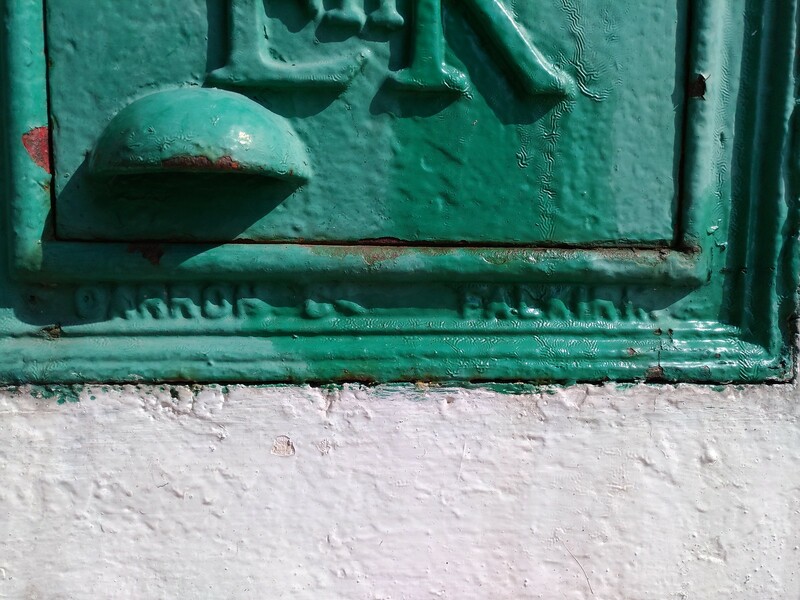 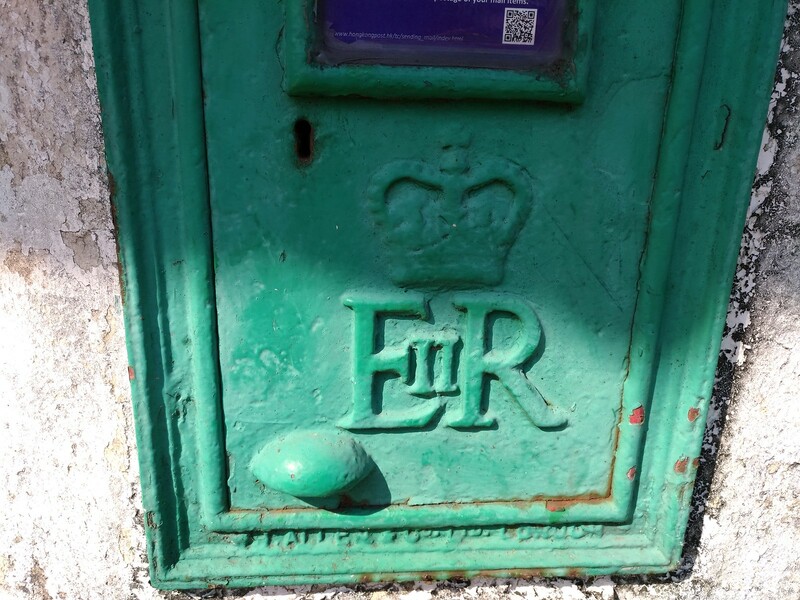 This would seem to have more worrying implication on the structure of the postbox and therefore might warrant some maintenance. 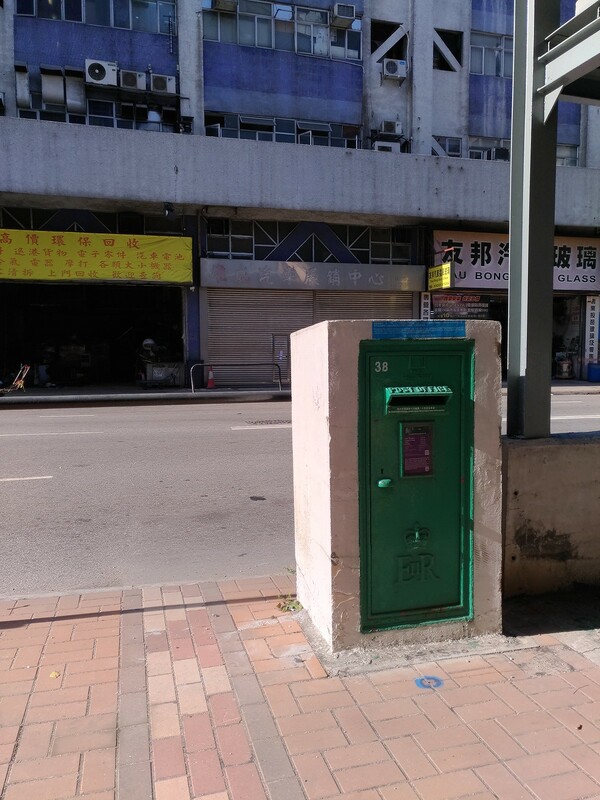 Note: this box is of a size much larger than other wall boxes in HK; HK has only two such boxes; the other one is in Sheung Shui.